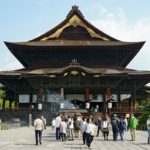 Nikko blog — The fullest Nikko travel guide blog for a wonderful trip to Nikko, Japan - Living + Nomads – Travel tips, Guides, News & Information! 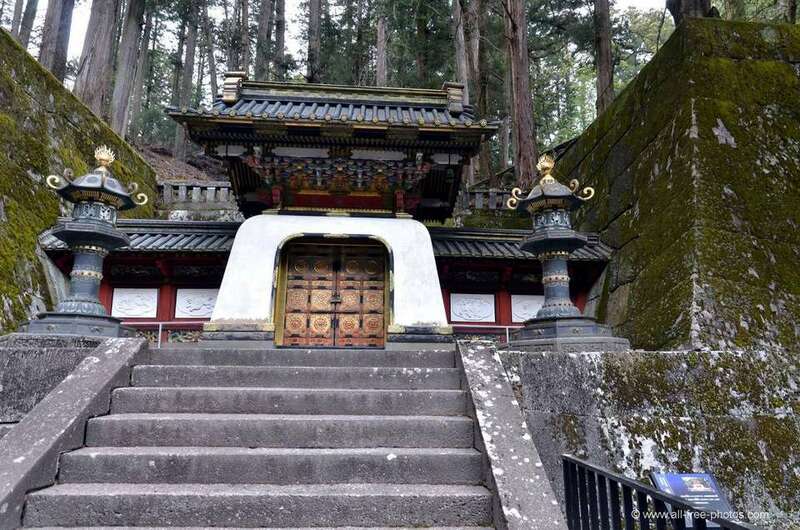 Nikko is one of the most famous and beautiful tourist destinations in Japan with a history of over 800 years, not only rich in natural scenery but also with long-standing sacred relics. 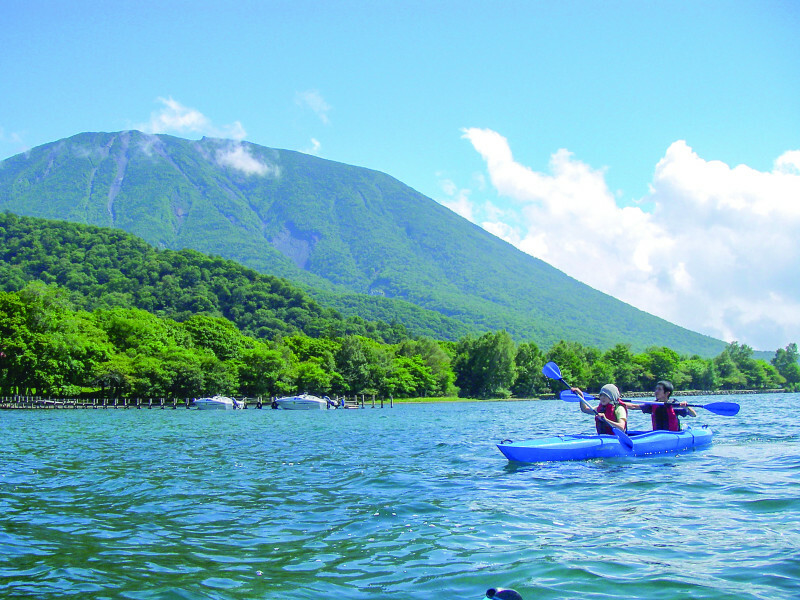 This is a place of convergence of many scenic spots of Japan with mountains, lakes, forests and hot springs. 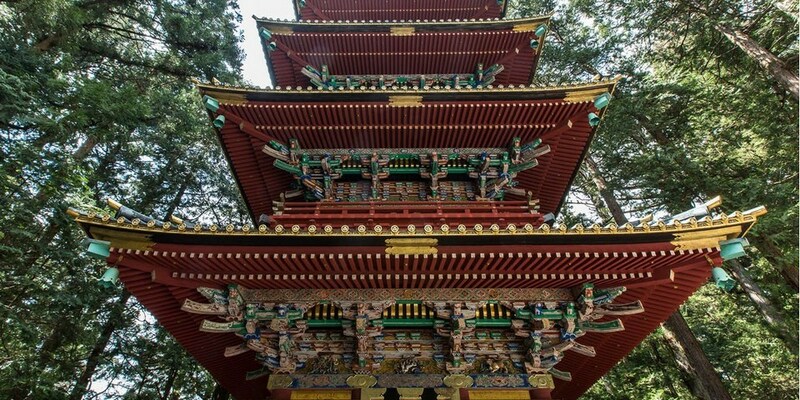 What and best things to do in Nikko, Japan? Let’s explore the sacred, beautiful ancient city and around through our Nikko blog (Nikko travel blog) — The fullest Nikko travel guide blog for a wonderful trip to Nikko from how to get there, best places to visit, top things to do to what and where to eat, buy below. 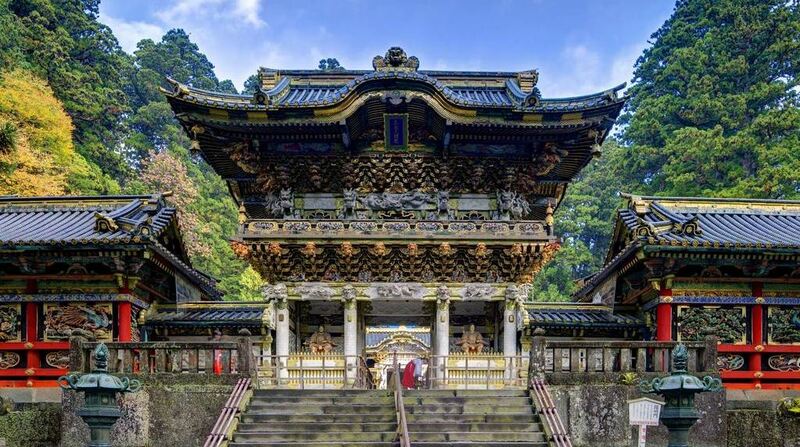 Nikko is an ancient city located in Tochigi Prefecture, in northern Japan, about two hours drive from Tokyo. 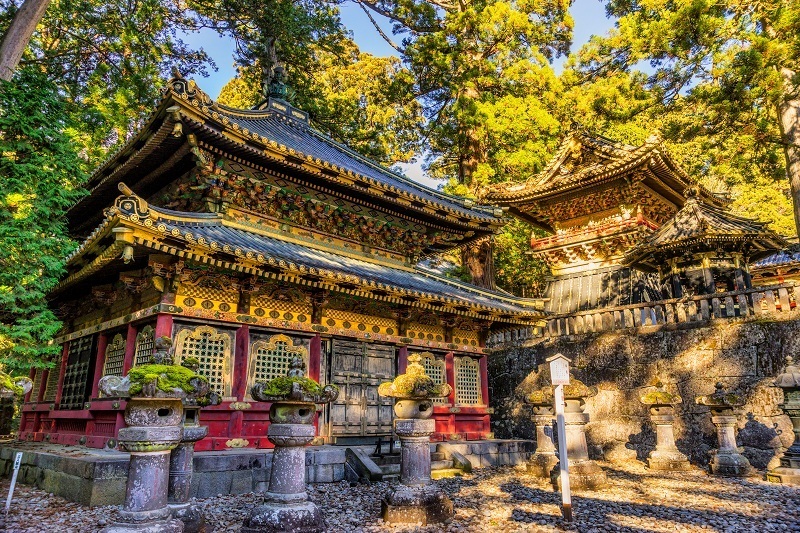 One of the points of interest that attracts many visitors is the ancient temples, shrines, pagodas were built by top painters, architects, and craftsmen all over Japan, extremely elaborate and unique. 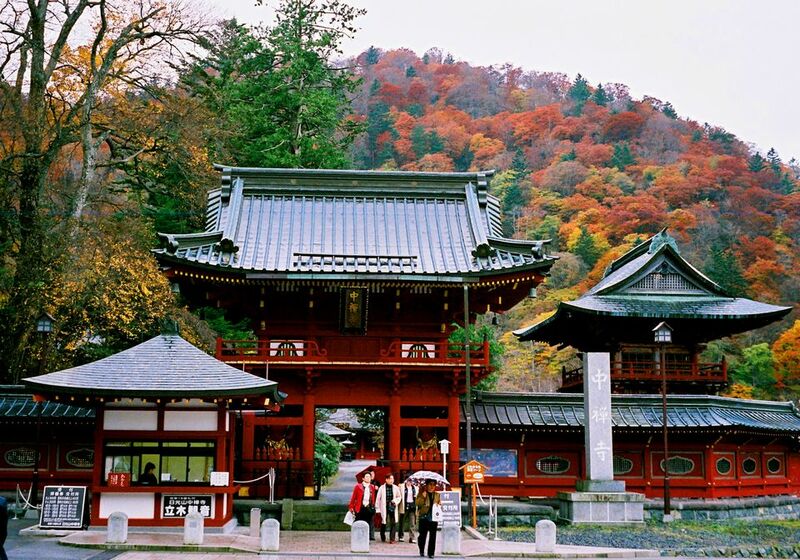 In 1999, Nikko Pagoda, Nikko Toshogu Shrine and Rinnoji Temple, Lake Chuzenji were recognized by UNESCO as world cultural heritages. 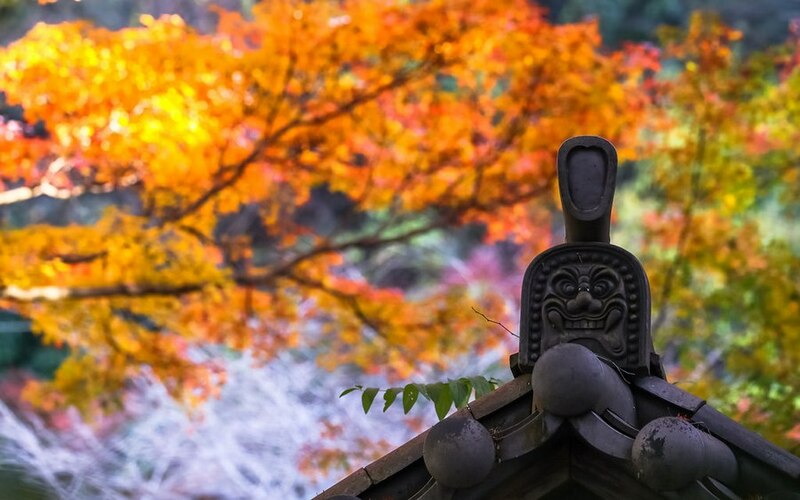 Autumn Colors in Kamakura, Chuzenji lake. 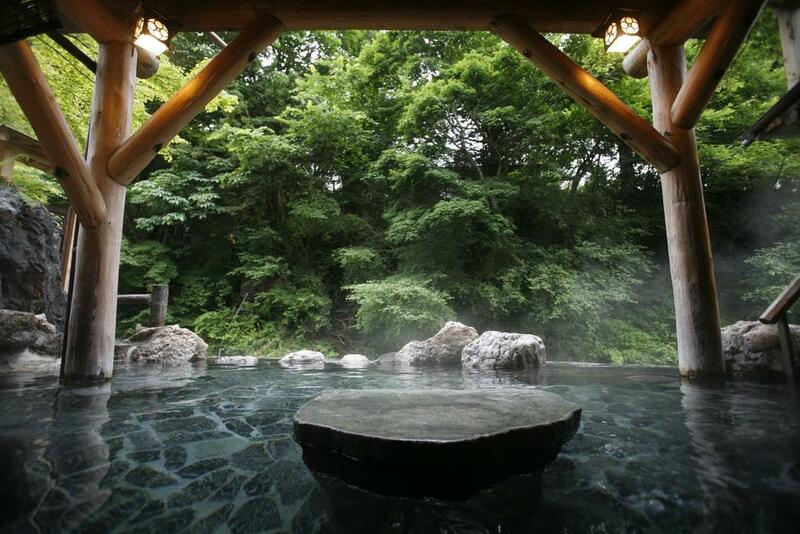 Credit: Nikko blog. 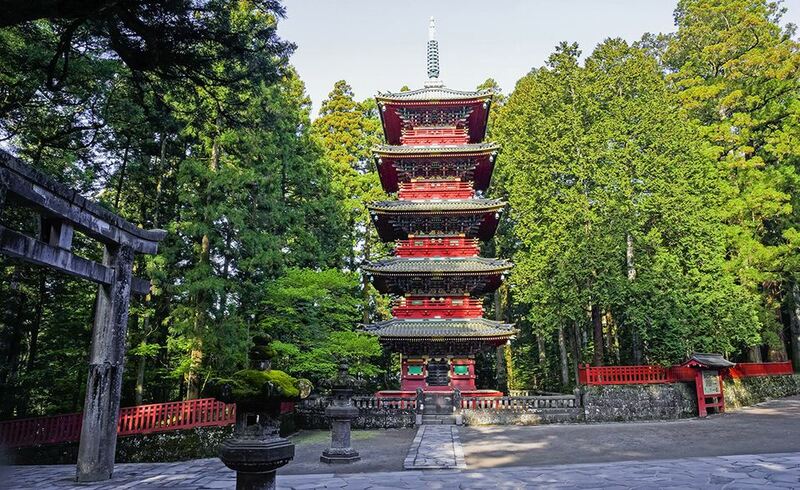 If you feel so overwhelmed with the bustling, busy life of Tokyo, you can “escape” to Nikko to feel the peace and harmony in nature as the wonderland at here. 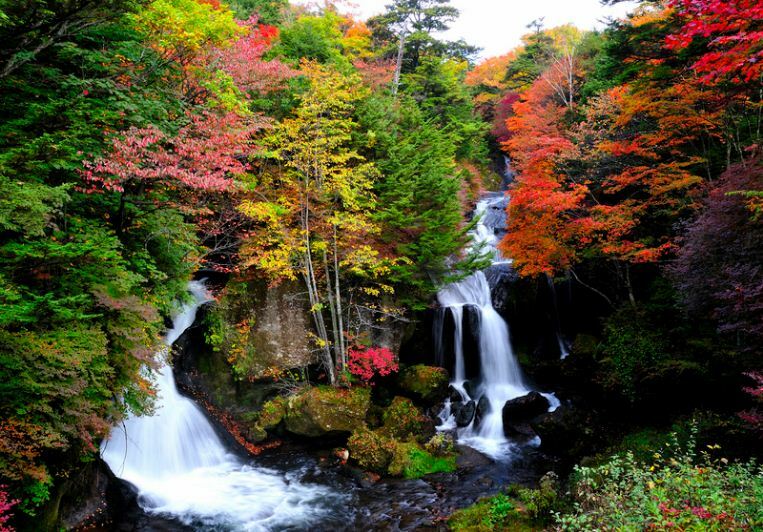 It sounds to a little bit fluttering, but when you visiting Nikko, sure you will have to say “What a beautiful!!!”. 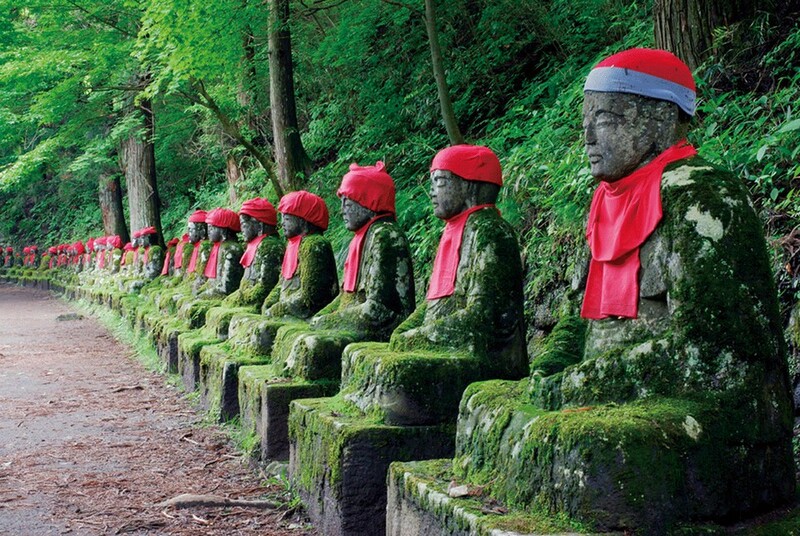 Narabi Jizo statues in Nikko forest by Kanmangafuchi gorge. 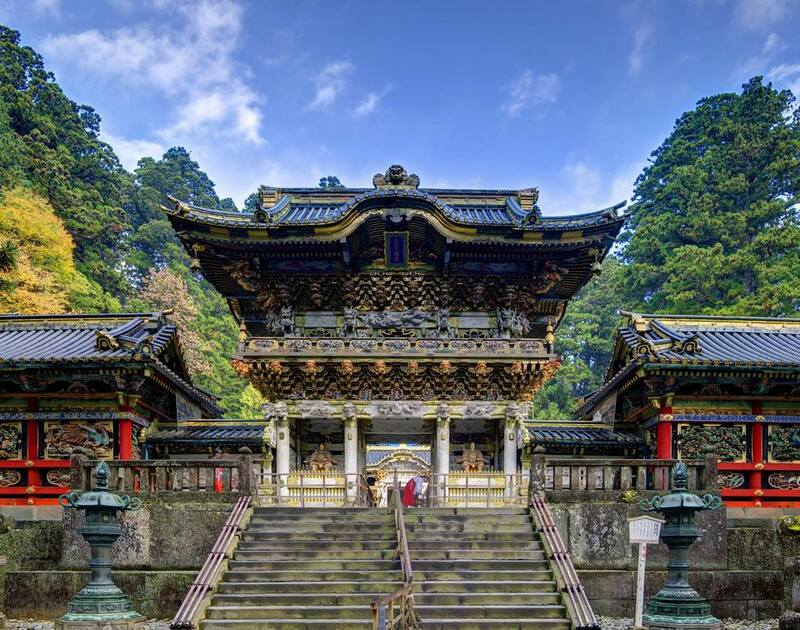 Nikko blog: When is the best time to visit Nikko? 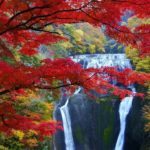 The weather in Nikko is quite similar to the northern islands of Hokkaido although Nikko is closer to Tokyo than Hokkaido. 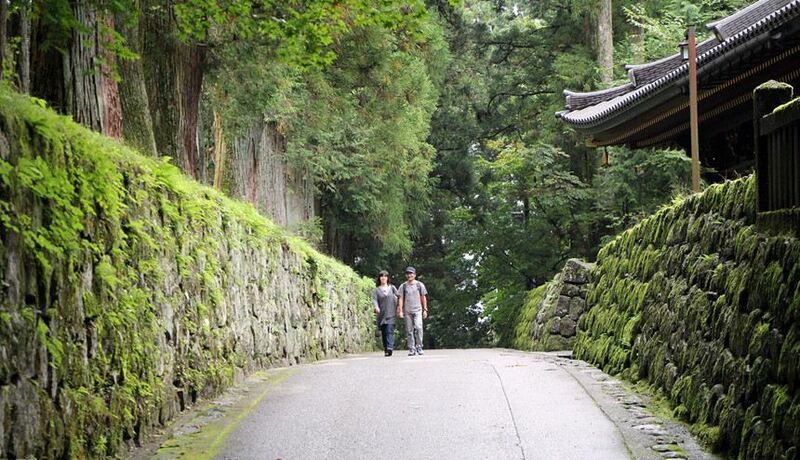 If you want to climb mountains to enjoy the cool and fresh air, summer is the best time to visit Nikko. 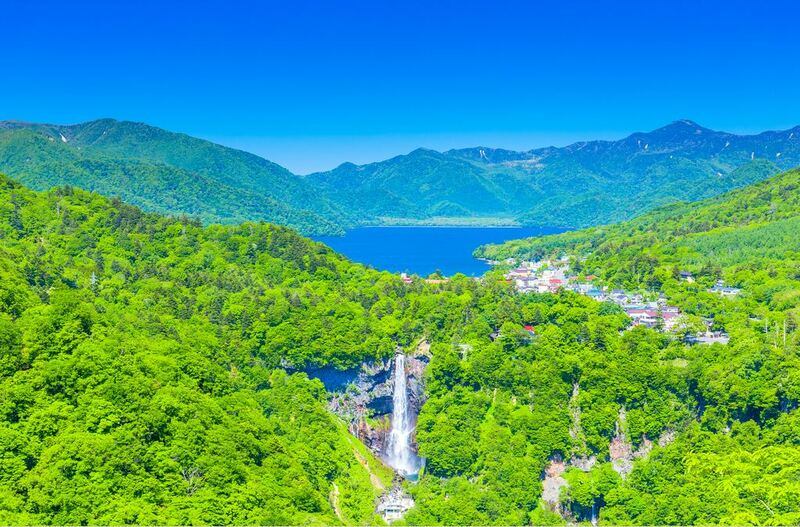 The temperature in Nikko is relatively cool because it has a wet continental climate, which is favorable for year-round travel. 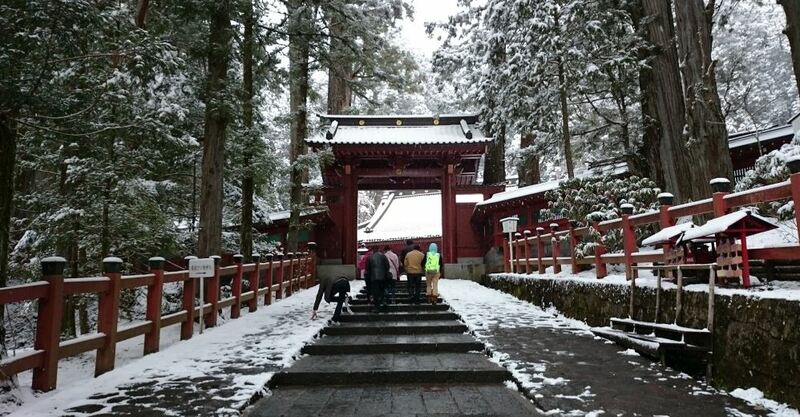 If you want to watch the snow, you can visit Nikko in the winter from December to February. 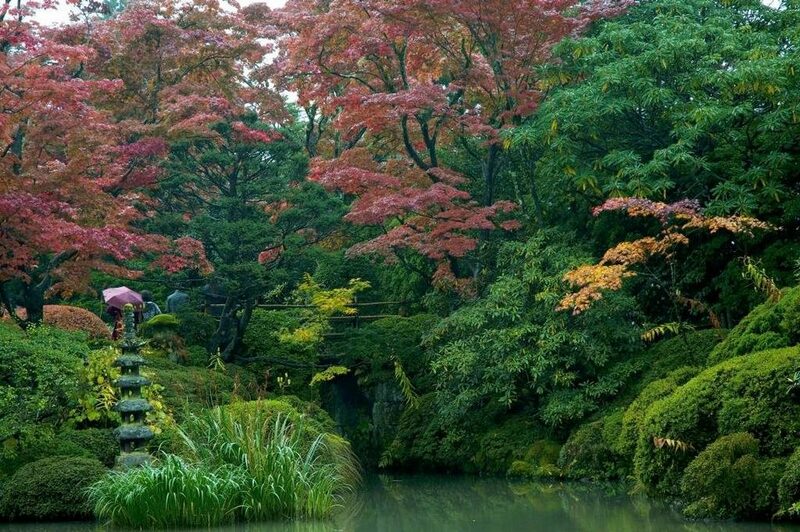 Autumn leaves let you enjoy the romantic scene, extremely beautiful and cool weather, little rain. 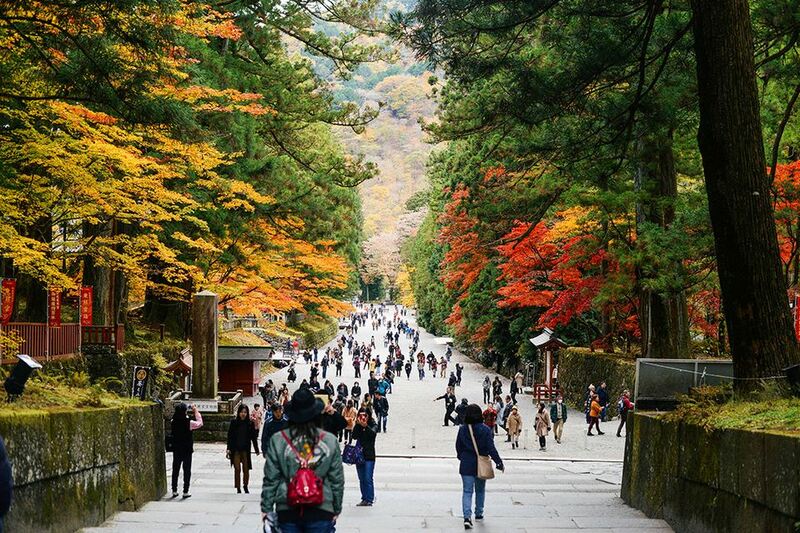 The best time to go to Nikko is in the spring and fall, especially when the weather turns to autumn, cold air flowing to where, the leaf carpets also changes colors follow too. 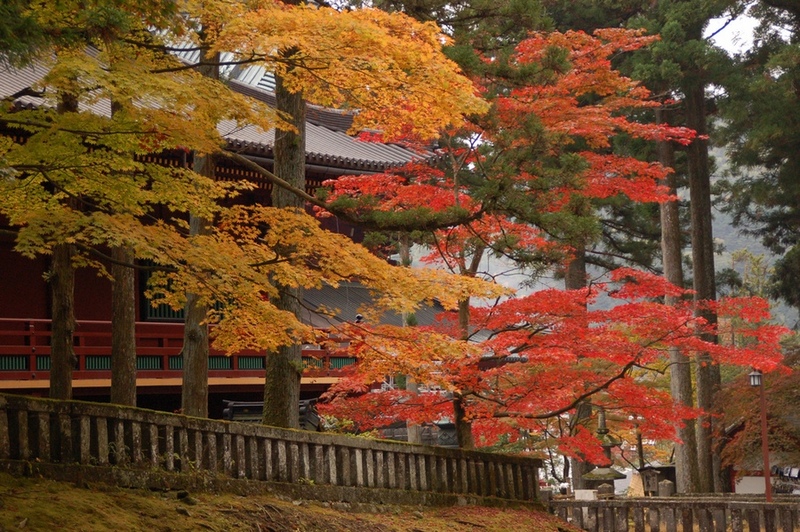 Leaves may be yellow or bright red, each tree has its own beauty. 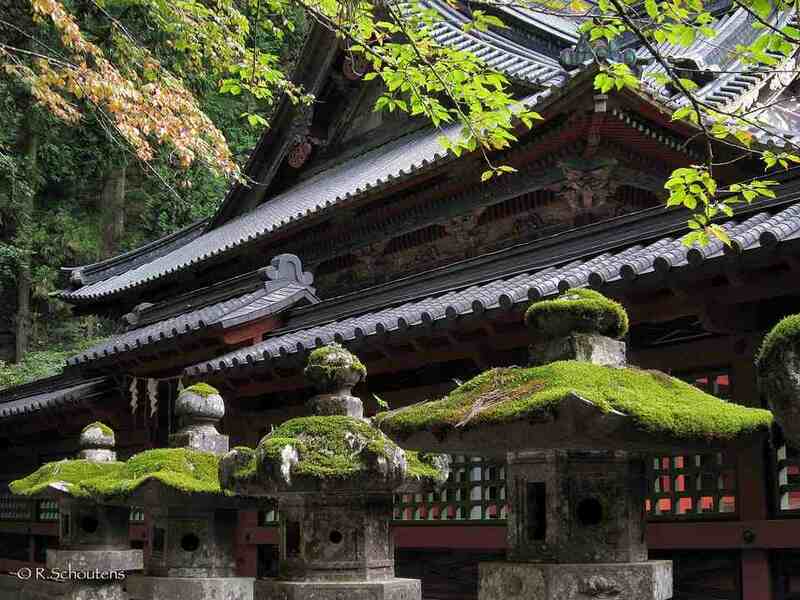 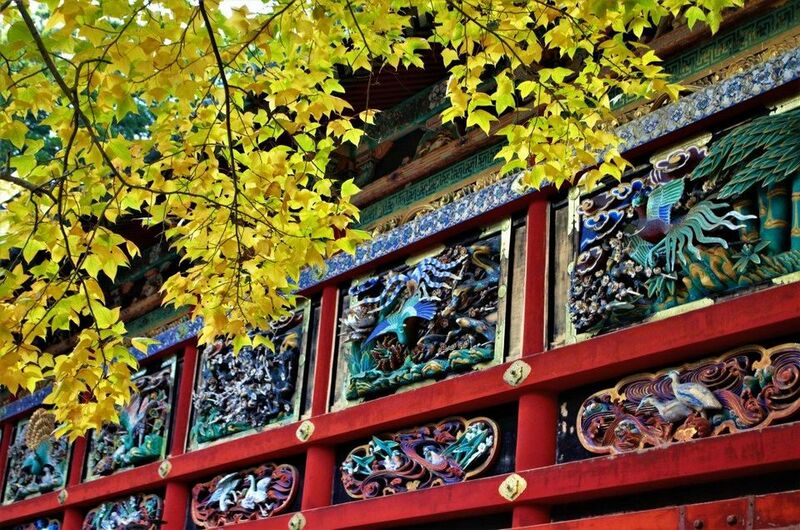 To admire the lush red leaves, temples and shrines that nested deep in the jungle, no where can be compared to Nikko. 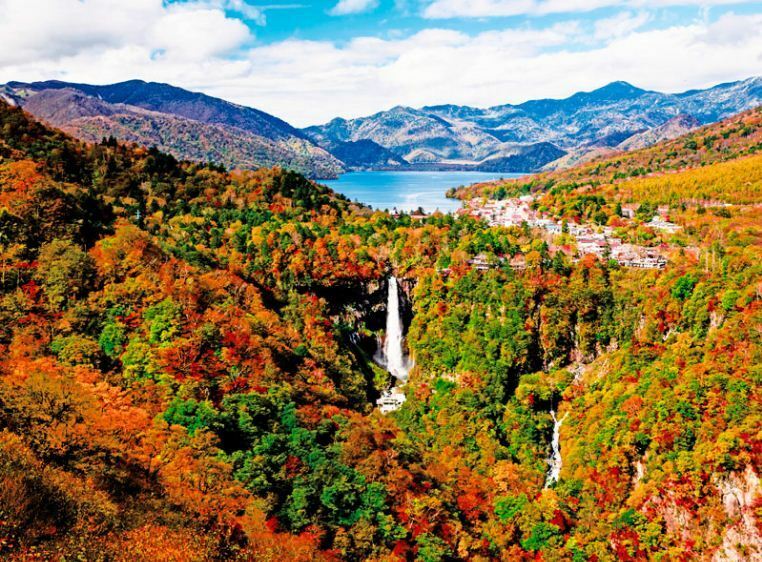 Ryuzu Waterfall is named after the shape of the falls resembling. 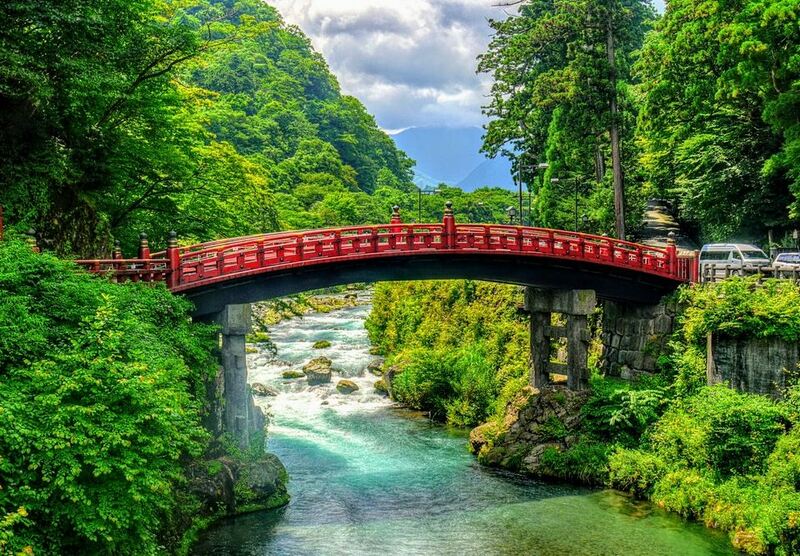 Photo by: nikko travel blog. 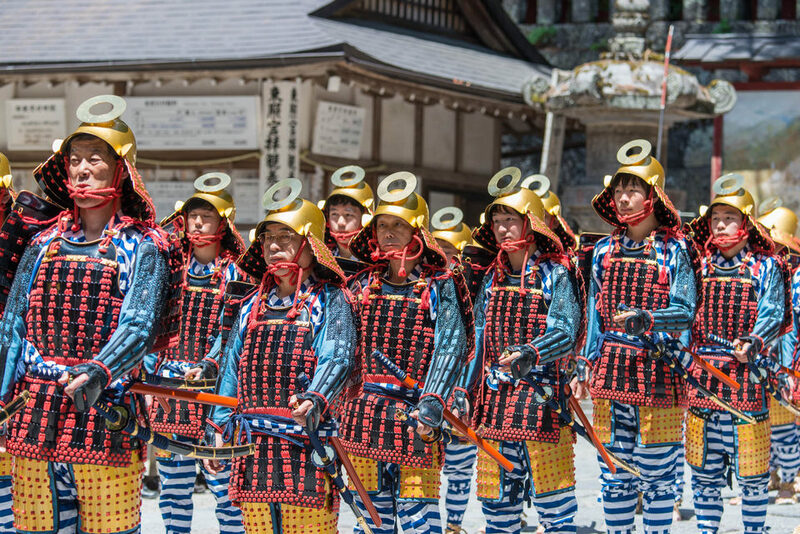 Nikko blog: How to get to Nikko from Tokyo? 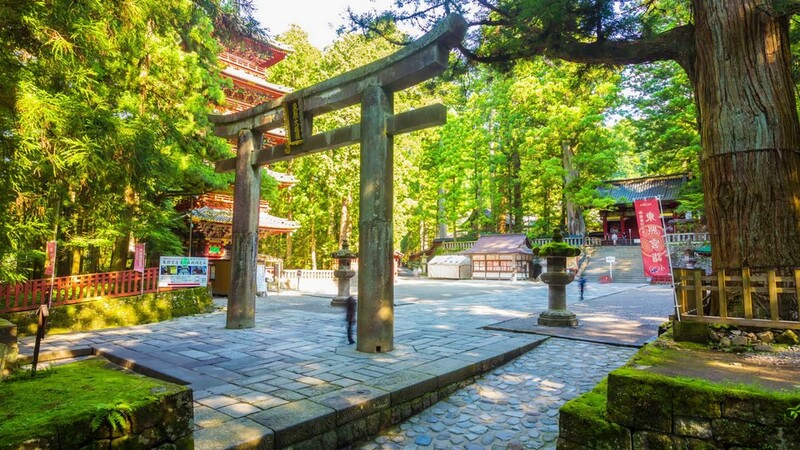 If you are familiar with the trains or cars system as well as confidence in your ability to find your way then you can getting to Nikko by public transport. 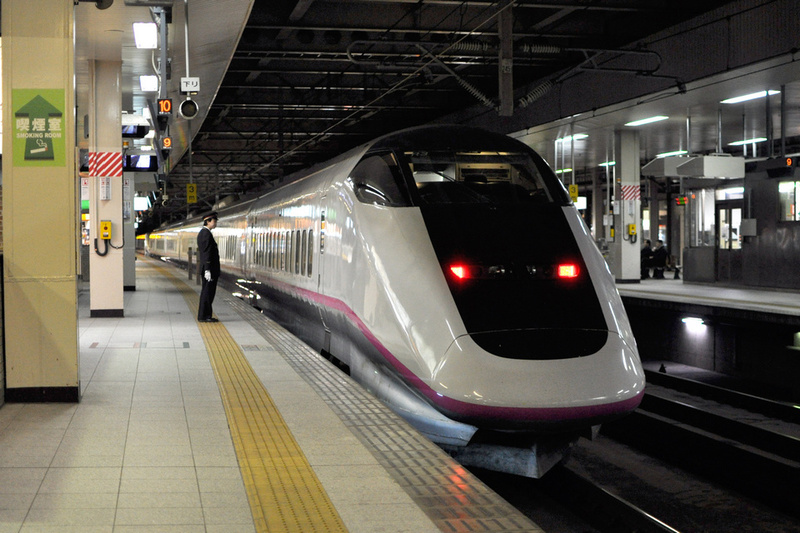 Tokyo and Nikko are connected by 2 companies of the Tobu Railway and Japan Railways (JR) rail lines. 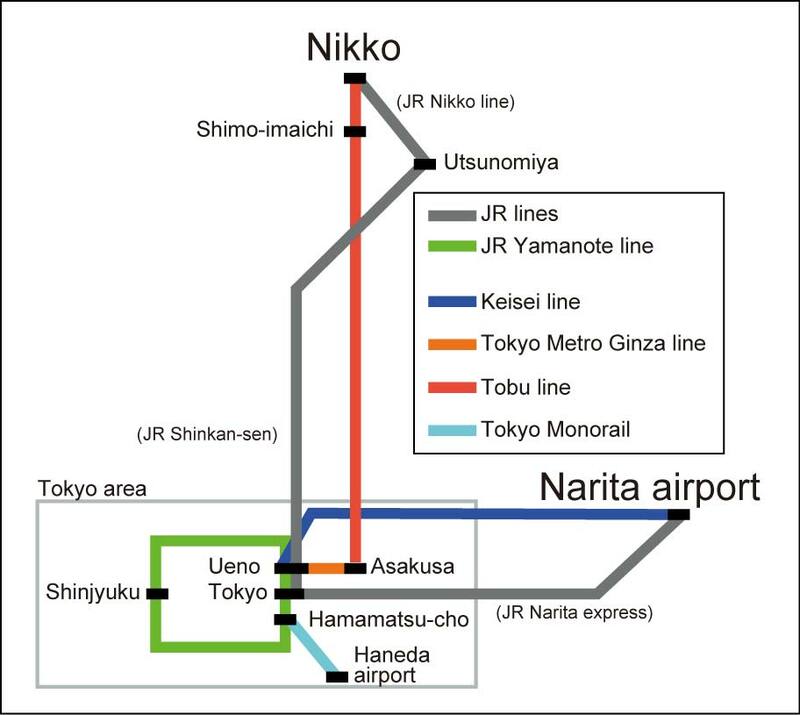 From Tokyo to Nikko train map. 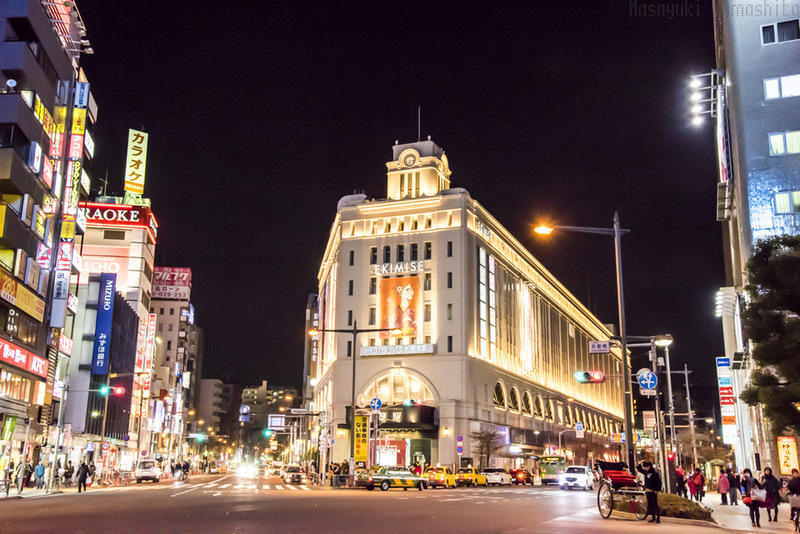 Tobu Railway Station to go to Nikko from Tokyo is Tobu Asakusa Station, you can reach here by metro (Ginza and Asakusa Subway Lines). 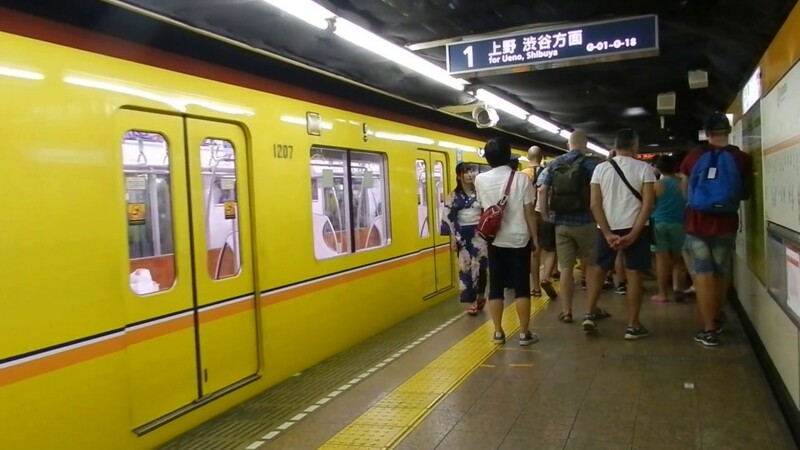 You have 2 options for express train or regular train. 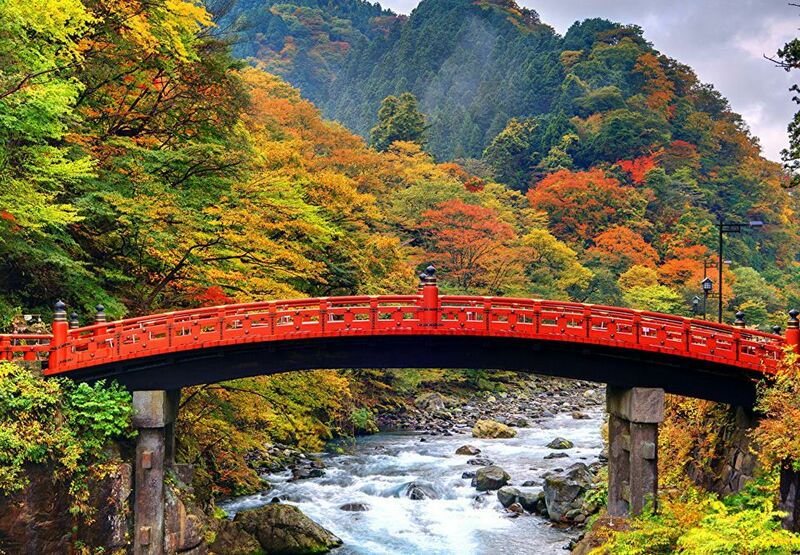 Train to Nikko. 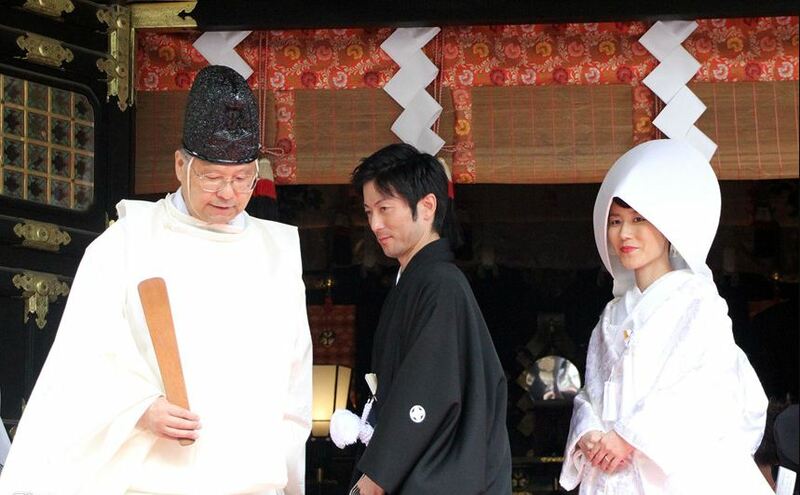 Credit: Nikko blog. 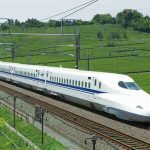 Regular trains: The costs are generally half cheaper than express trains (¥1360/trip) but you have to spend more 30 minutes to get to Nikko. 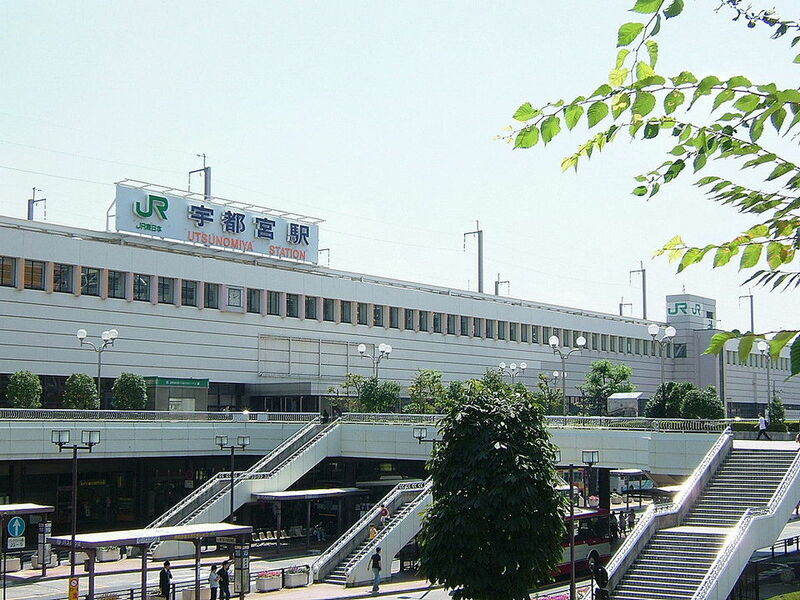 Take JR Tohoku Shinkansen (from Tokyo or Ueno Station) to Utsunomiya Station and change to JR Nikko line. 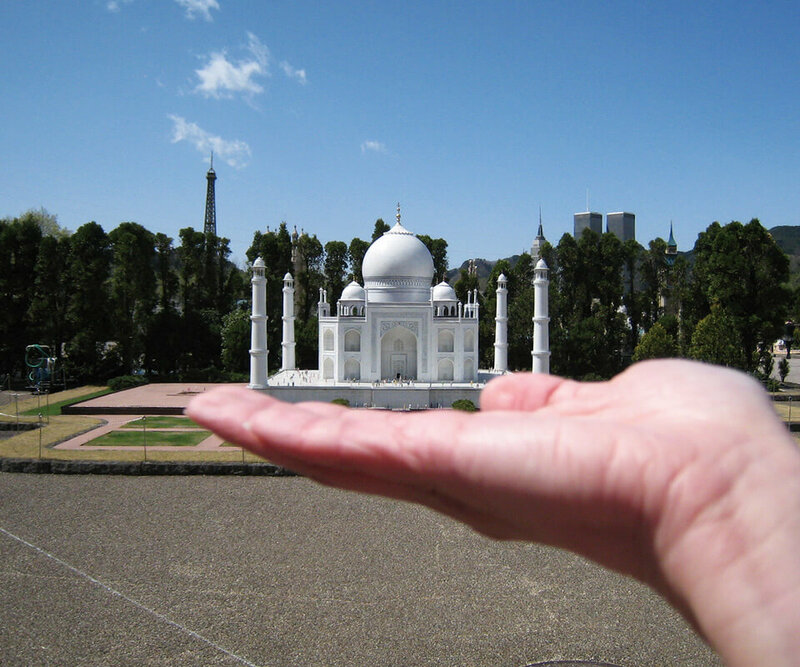 It’s take about 1 hour 30 minutes. 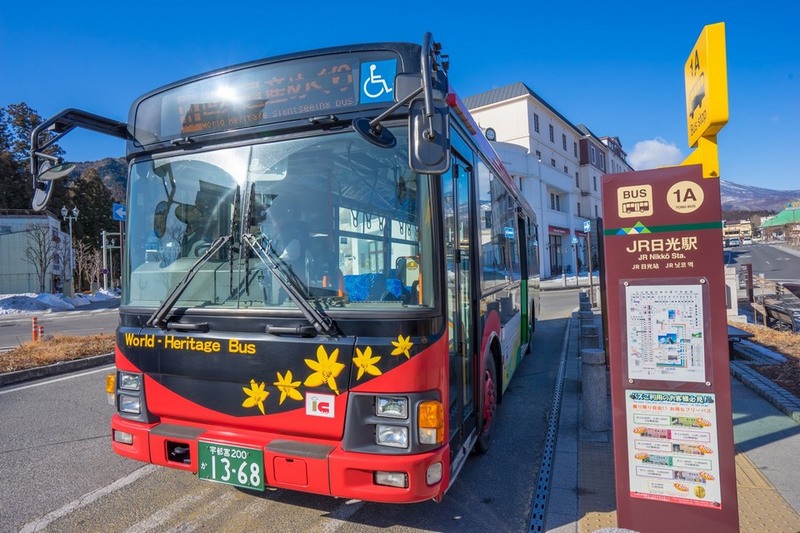 If you had a JR Pass, let’s should be used it, because it will be much cheaper. 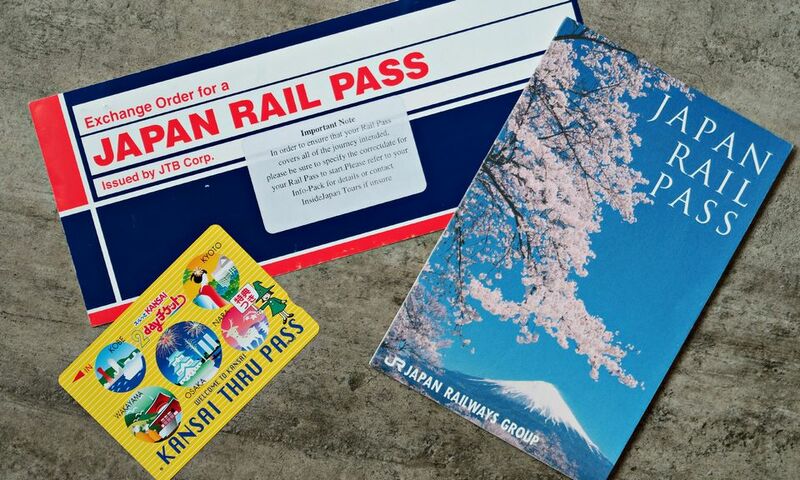 If you buy retail tickets, it costs 10,000 yen (about $90) while buying JR Pass All Japan (about $250). 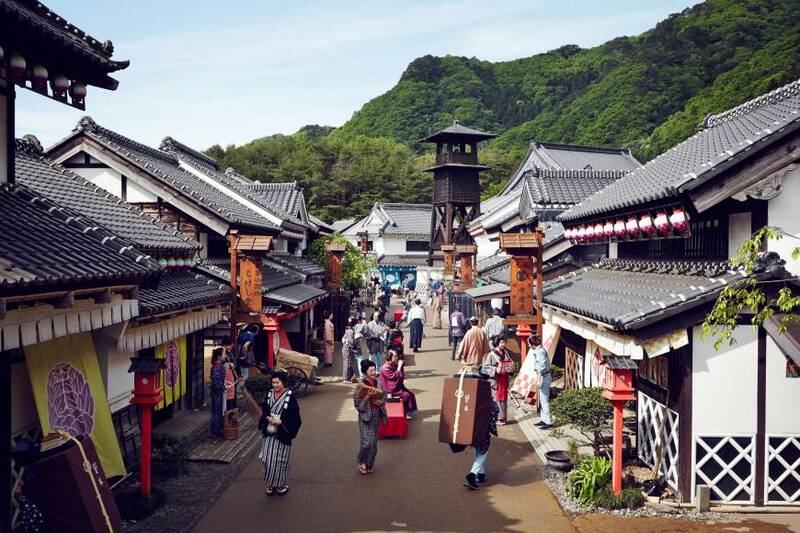 You can move freely in all Japan without worrying about any destinations. 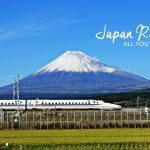 Read more: JR Pass — Top 11 things about Japan Rail Pass you need to know. 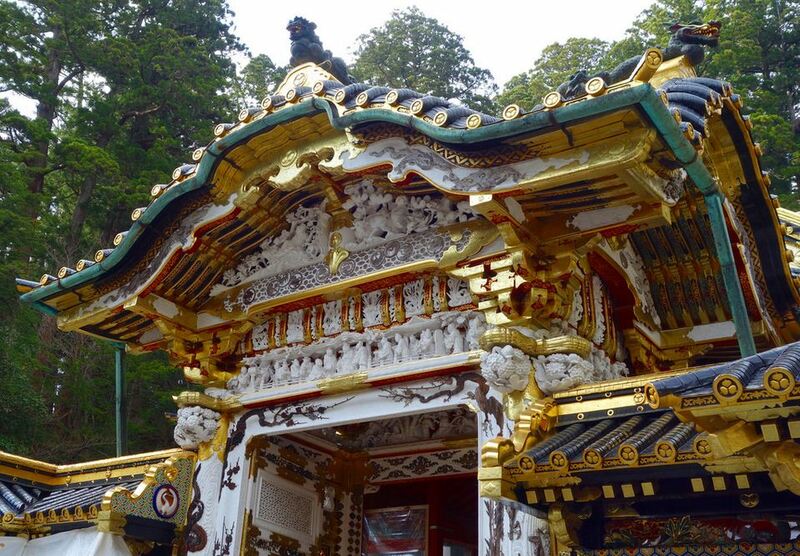 From Nikko Station to the temples area. 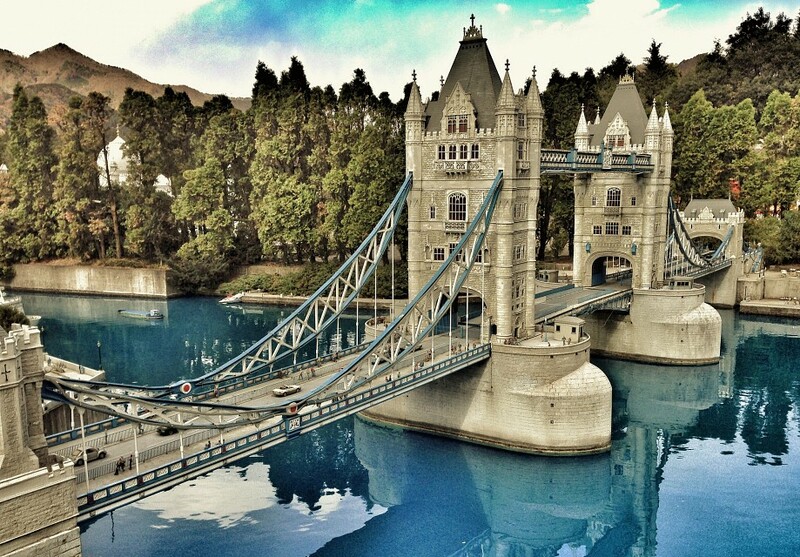 Approximately 2 km, you will have to travel by bus to visit the places in this city. 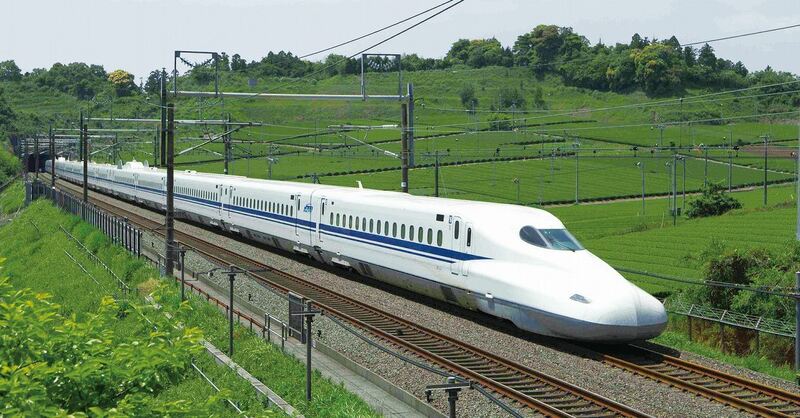 Every 10 minutes there will be a trip, cost about ¥310, or you can buy a day pass for only ¥500. 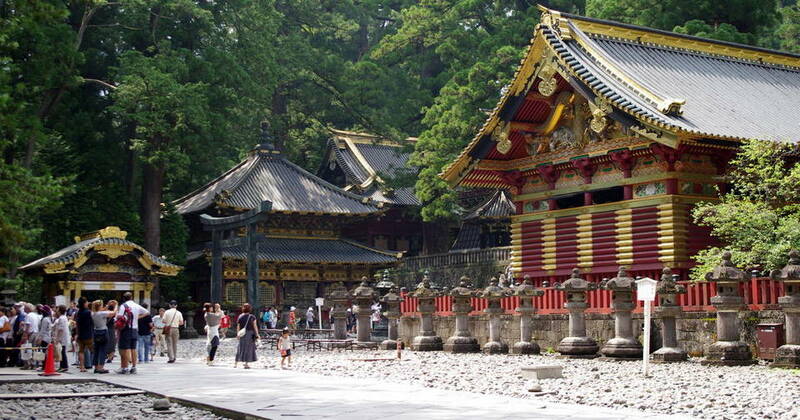 Note that this is just only a ticket from Nikko Station to the temples area. 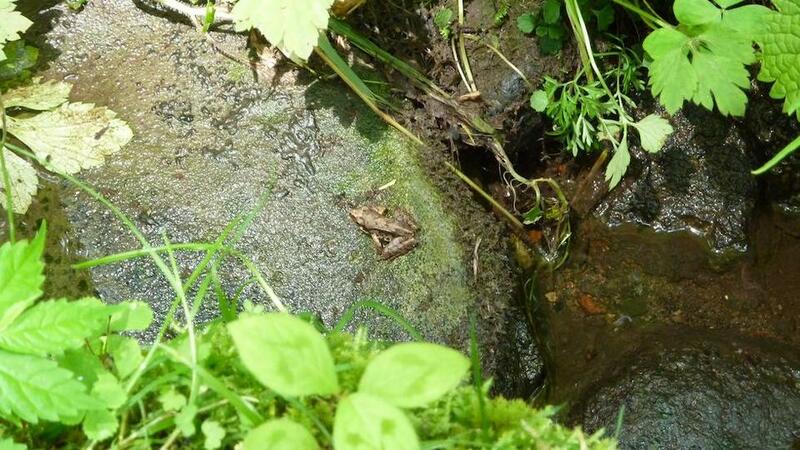 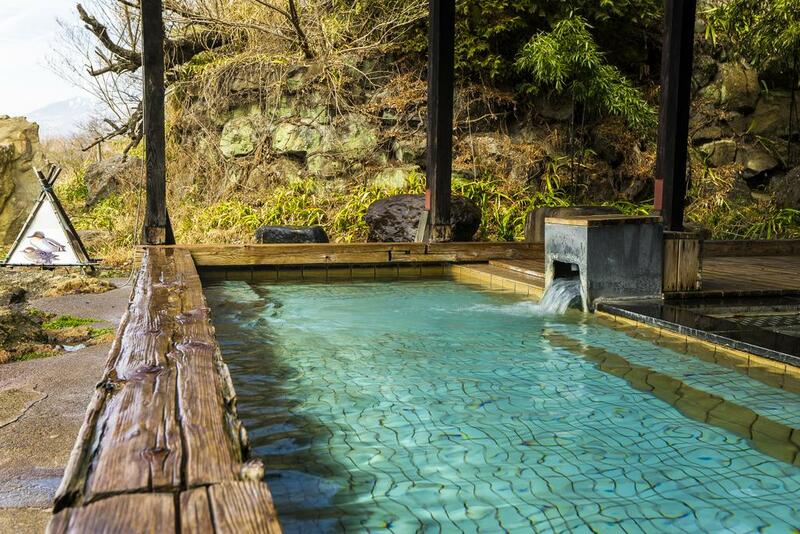 To Kinugawa, take the Tobu Kinugawa Line, stop at Kinugawa Onsen Station or take a bus for 30 minutes. 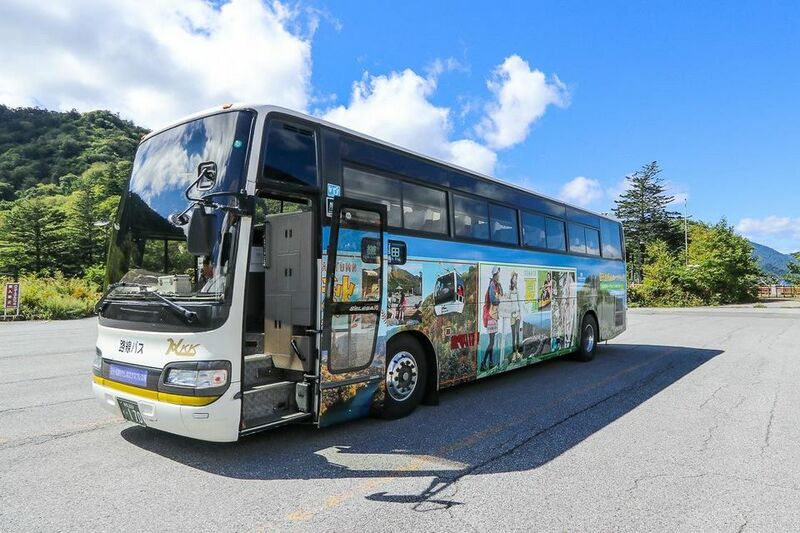 Direct bus between Nikko and Oze National Park. 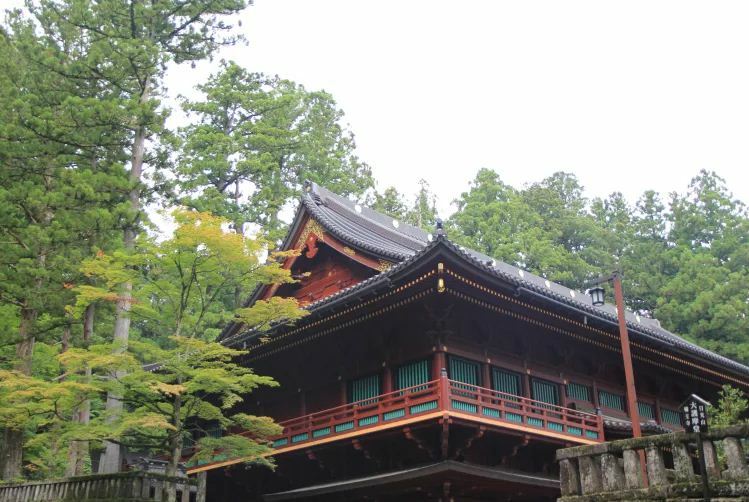 Nikko blog: Where to stay in Nikko? 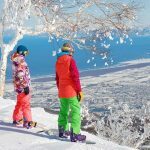 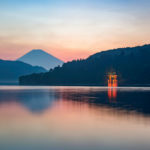 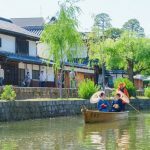 If traveling in the summer, the hotel reservation is also easy because you can rent any accommodation in Nikko city or in the village of Onsen Chuzenji. 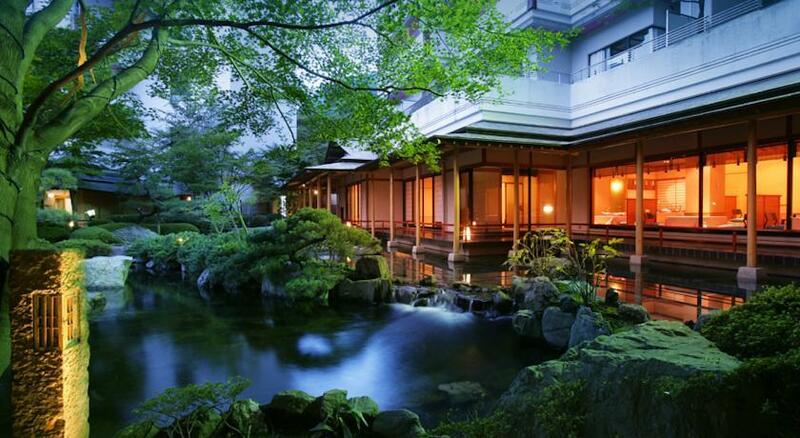 However, if you pre-booking hotel online, it will be easier, and you just only need to find the way to your hotel. 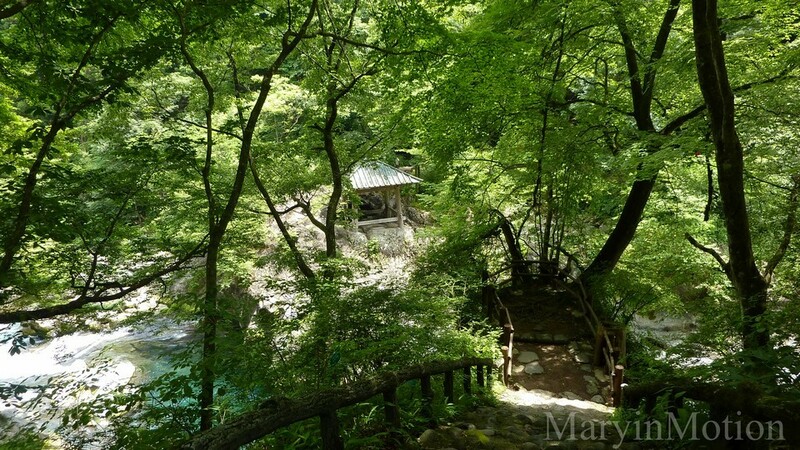 You can also use the tourist services to rent a guesthouse that included a car to go there. 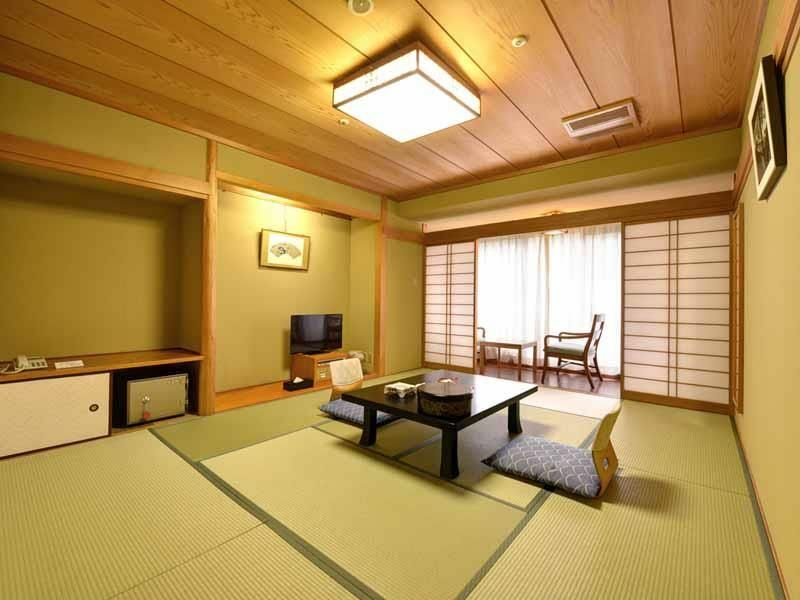 If you rent a room in the Western style then the room is evaluated according to 5 star standard. 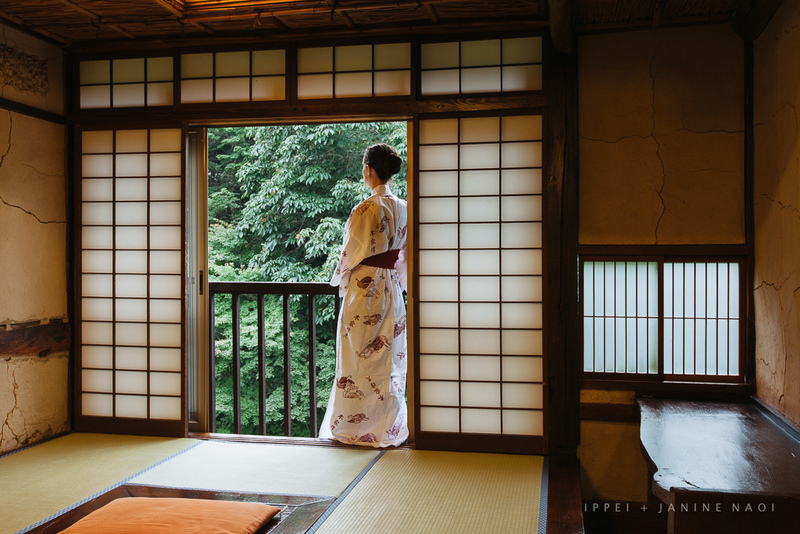 If you rent a room in Japanese style, there are two types of “ryokan” and “minshuku”, usually endows for two or more people and they will also serve the breakfast, very wonderful. 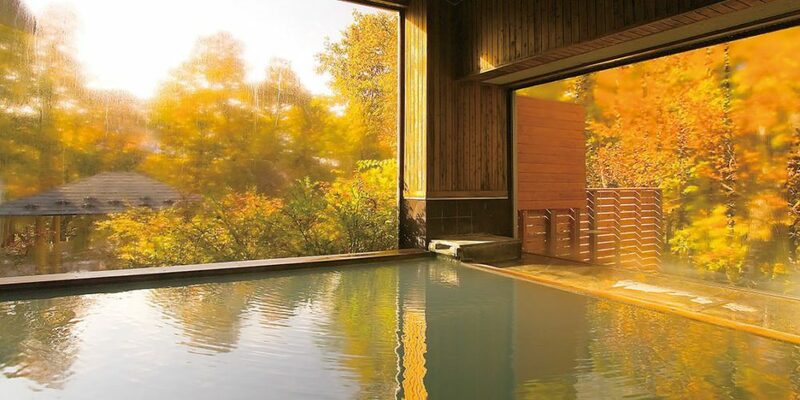 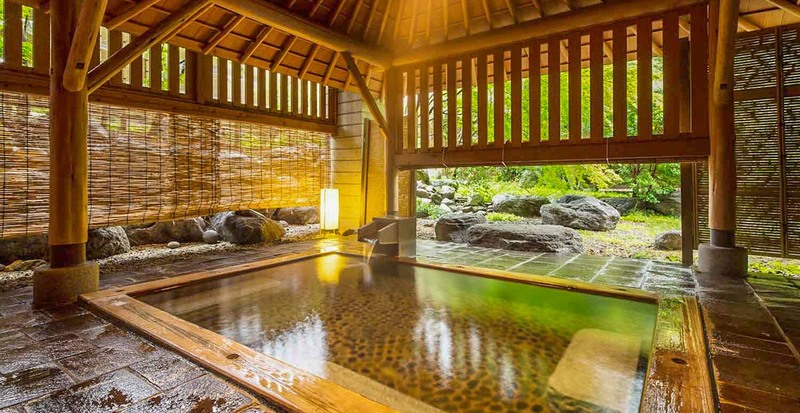 In ryokan there is also “Onsen ryokan”, includes hot springs pool. 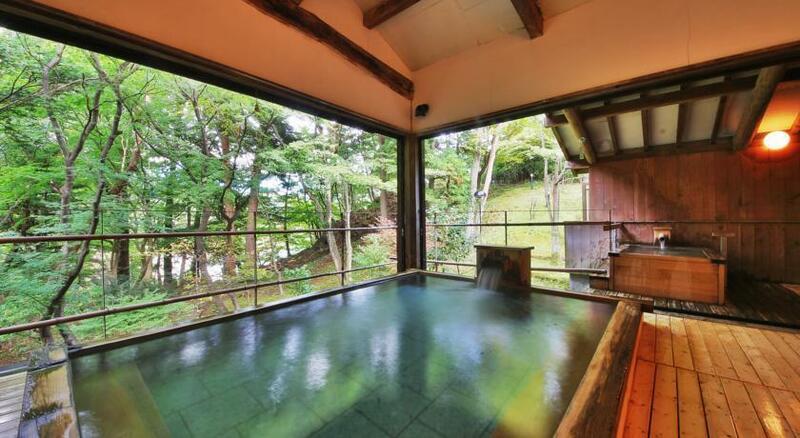 If the inn does not have a hot bath, they will send you to a place that offers this service at a very cheap price. 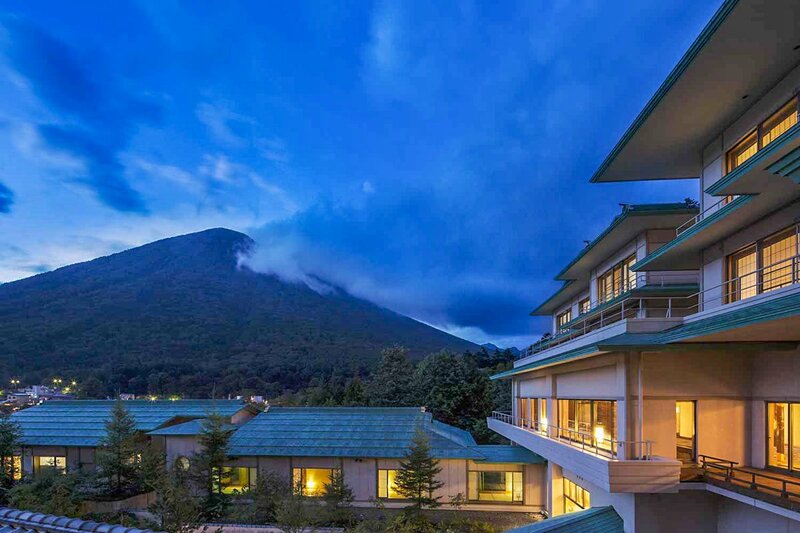 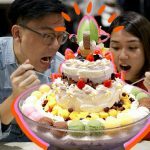 You can find, check rates, availability & booking for Nikko hotels on Agoda.com or Booking.com. 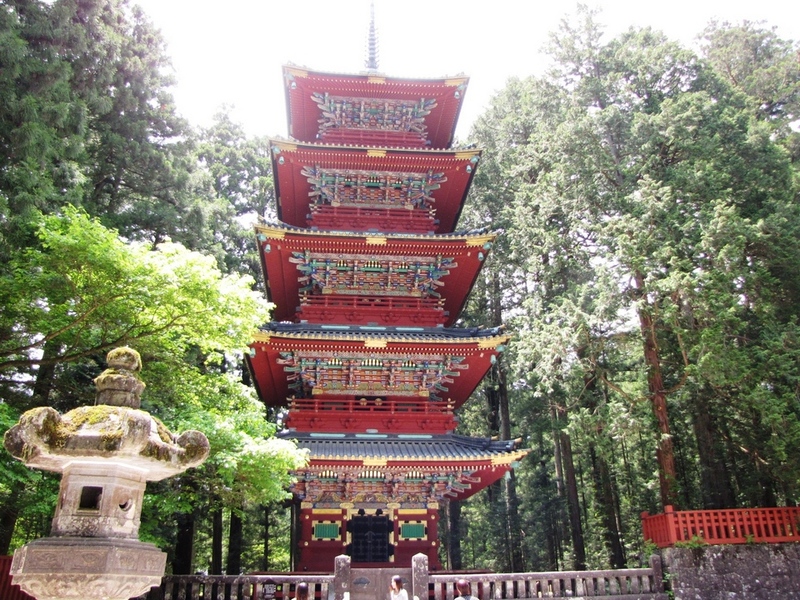 Places to visit in Nikko are divided into two areas: Temples, Shrines and Pagodas Region, Okunikko Region. 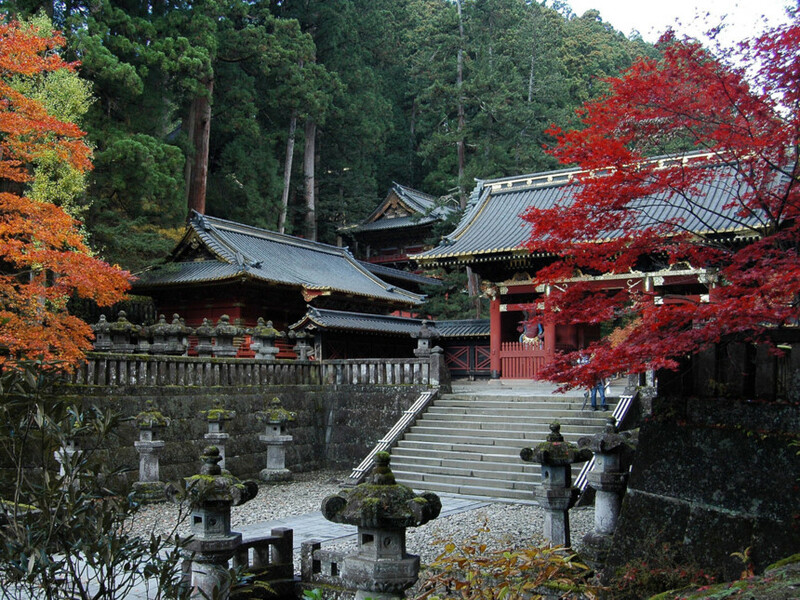 Nikko Tosho-gu, Futarasan and one Buddhist Pagoda is Rinno. 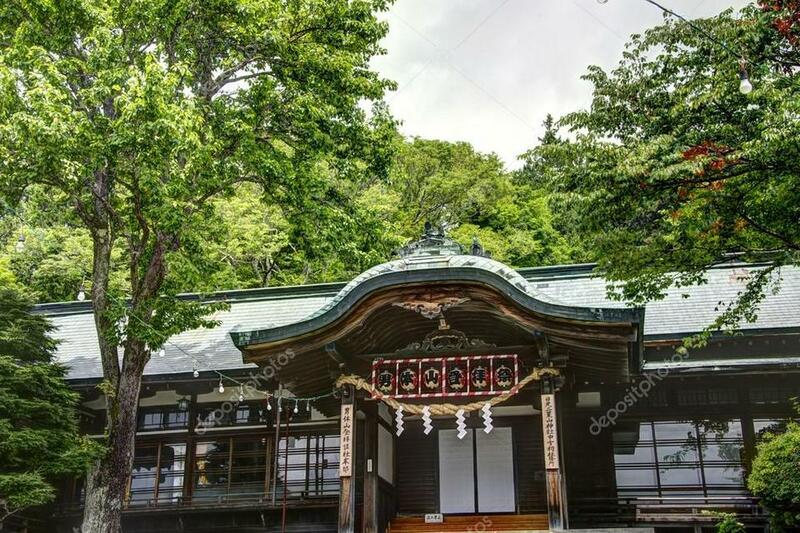 The most magnificent shrine in Japan with a history of more than 400 years, is home to worship Shogun (General) Tokugawa Ieyasu, located in the high pine forest in the city of Nikko. 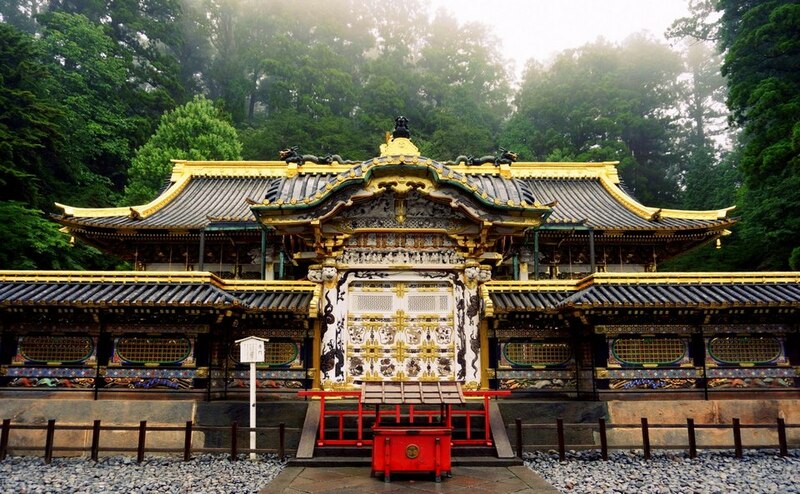 Talking about Nikko, who understands Japanese history, they immediately thought of Nikko Toshogu Shrine, one of the most beautiful and sacred shrines in Japan, which was recognized as World Cultural Heritage by UNESCO in 1999. 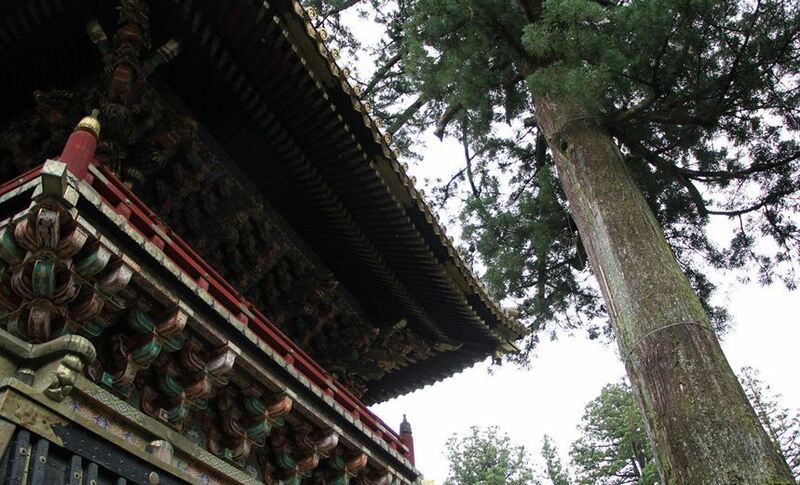 Boulevard of cedar trees is planted in long queues lying on both sides of the road, called Sugi. 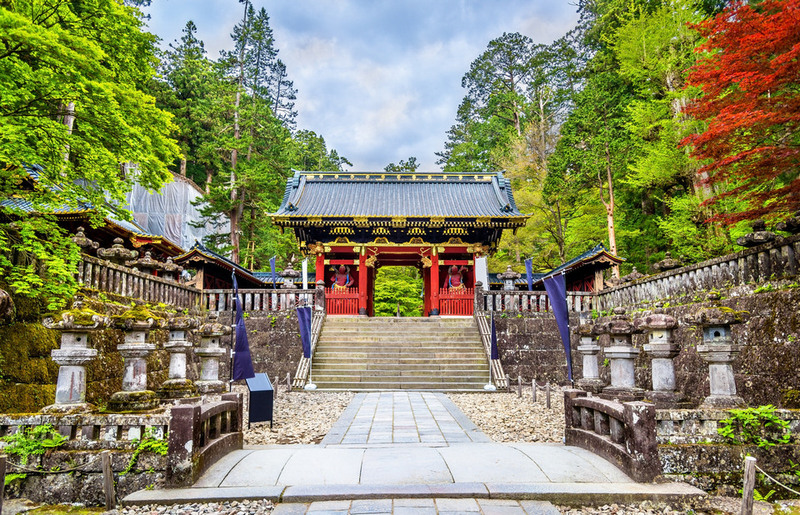 After Shogun Tokugawa Ieyasu died in 1616, his son Masatsuna Matsudaira built the shrine of Nikko Toshogu, and he started planting Japanese cedar along the main road leading to Nikko Toshogu. 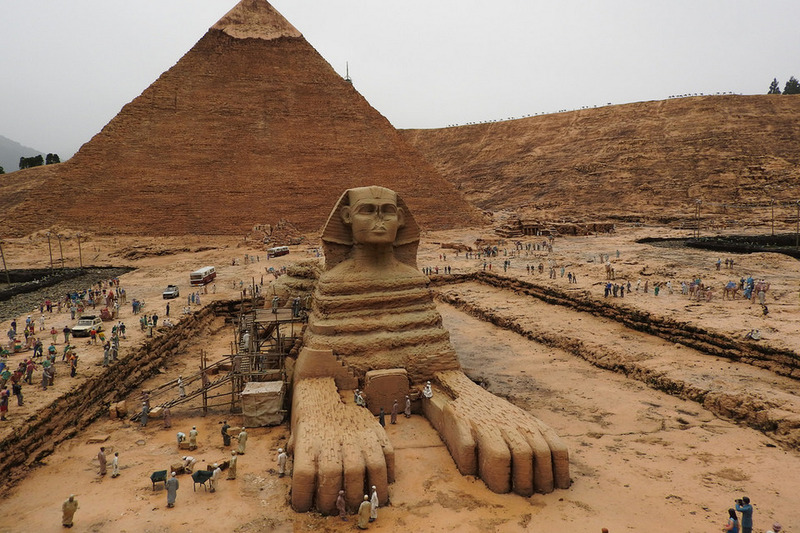 It is estimated that there are about 200.000 cedar trees planted on this occasion. 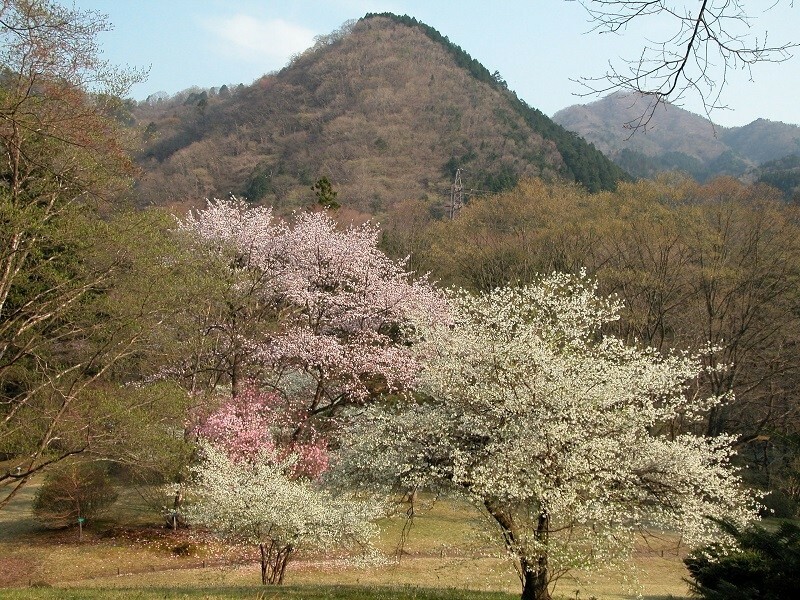 The number of trees is decreasing and there are currently only 13.000 trees. 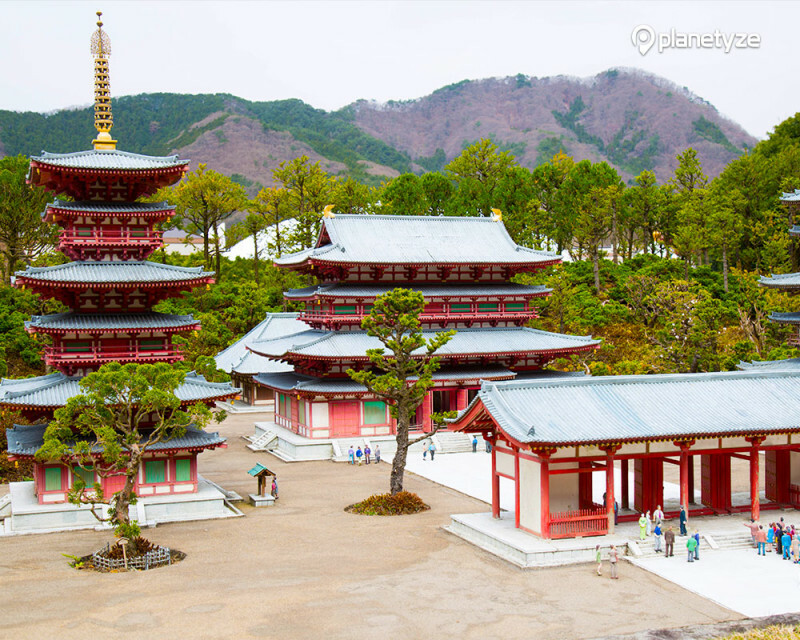 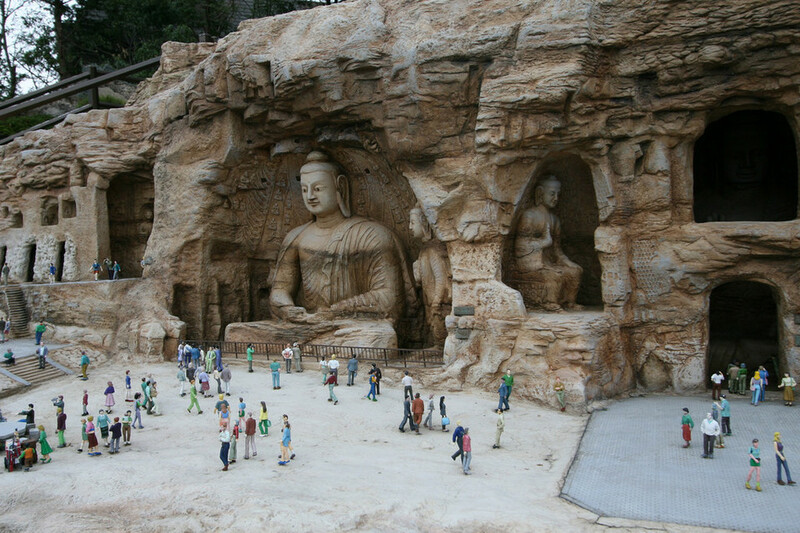 More than 4 million workers worked in 1 and a half years to complete this temple complex with extremely elaborate architecture. 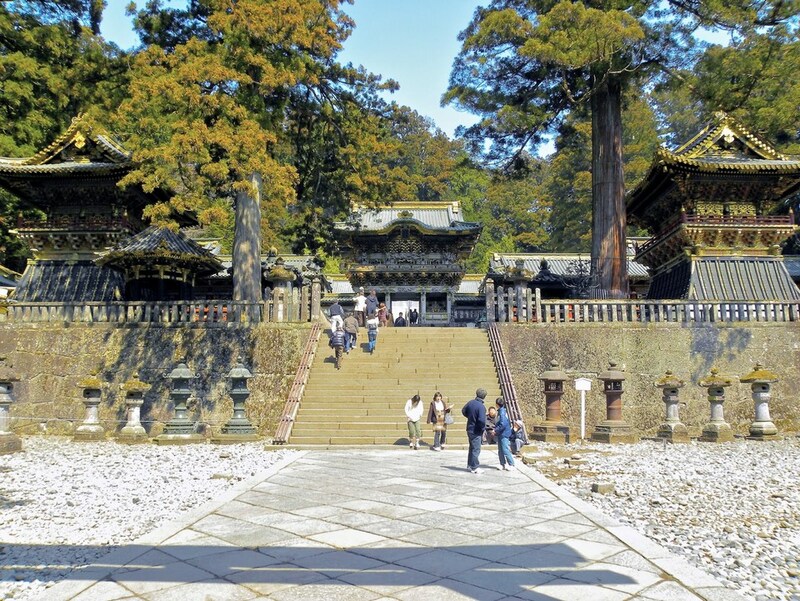 When set foot in the temple, visitors will feel the fresh and cool air from ancient trees over 400 years old surrounding the temple. 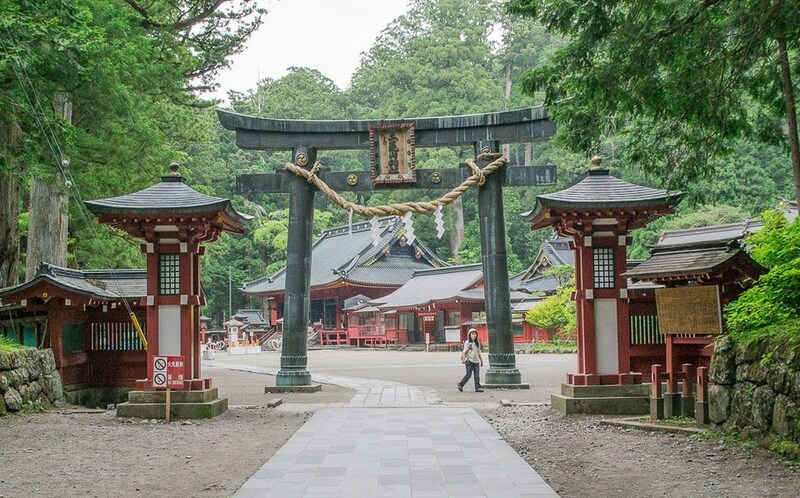 Visitors must use clean water to wash their hands, wash their face, purify the body before starting to visit the campus of shrine. 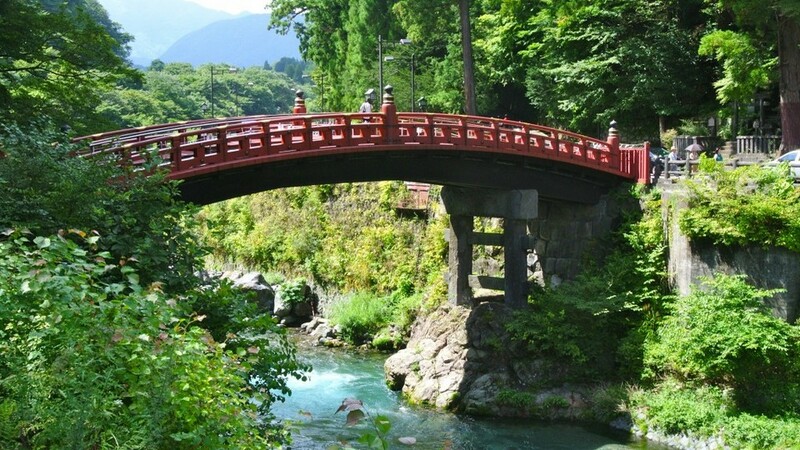 The road to Nikko Toshogu Shrine crosses the Daiya River, with its beautiful Shinkyo wooden bridge. 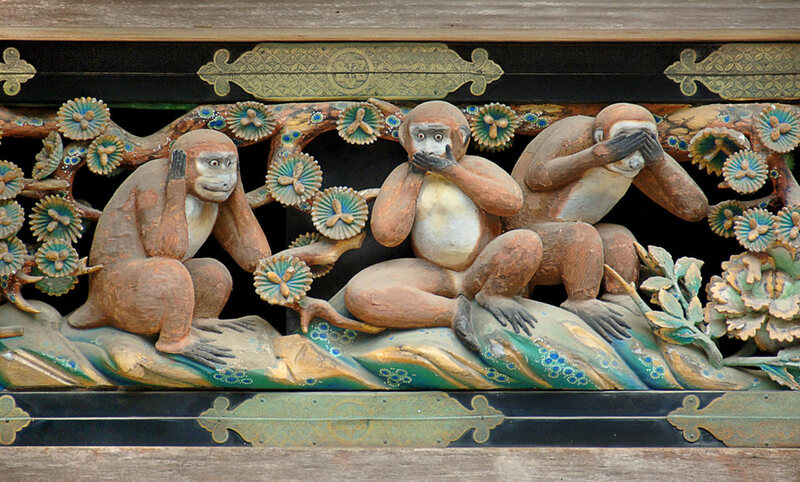 The most famous artwork is the three monkeys carvings by wooden: Kikazaru (covering the ears), Mizaru (covering the eyes), Iwazaru (covering the mouth) with the implication of the Buddhist philosophy: do not listen to bad things, do not look bad things, do not say bad things. 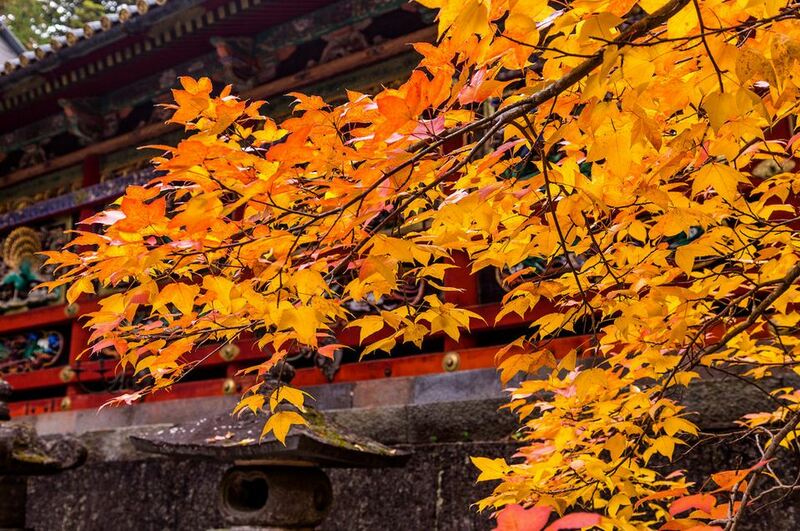 Not only famous for its exquisite and unique architecture, this place is also considered one of the most beautiful spots to admire red leaves, yellow leaves in the Kanto region. 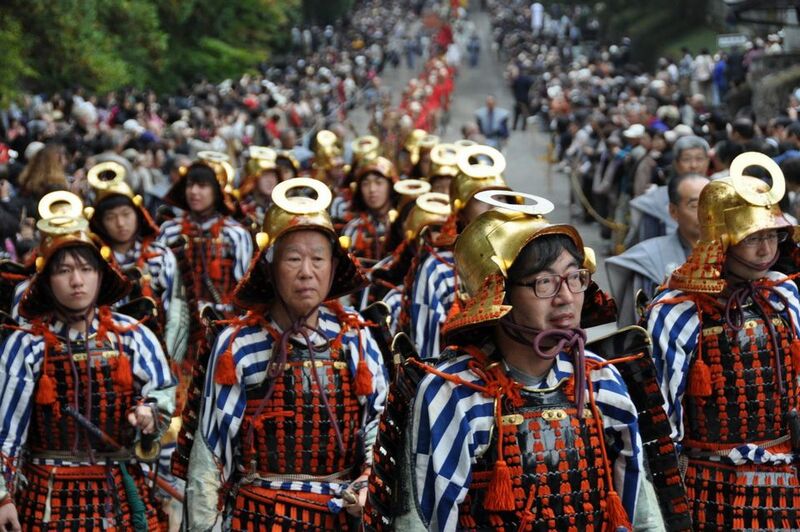 If you visit here on this summer, and exactly on 17th and 18th of May every year, your family will witness a spectacular festival with thousands of armored soldiers, pretending to be samurai, horse riding and bring archery. 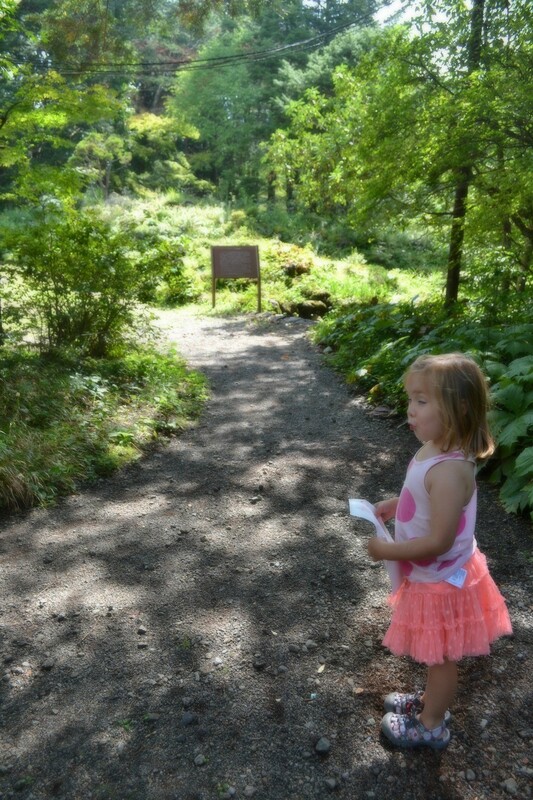 Overall it is worth the trip. 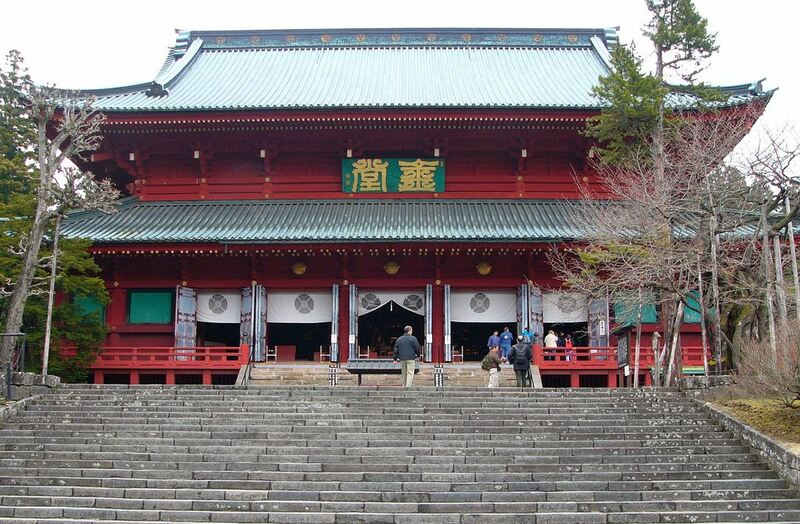 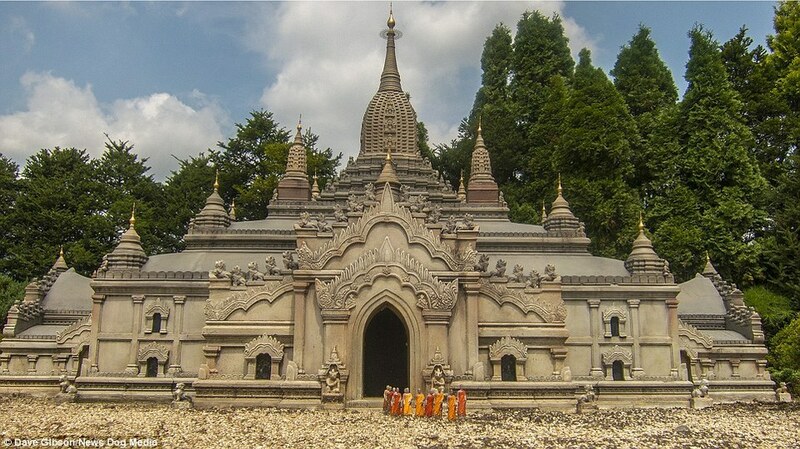 The temple is also where the noble families hold the marriage ceremony. 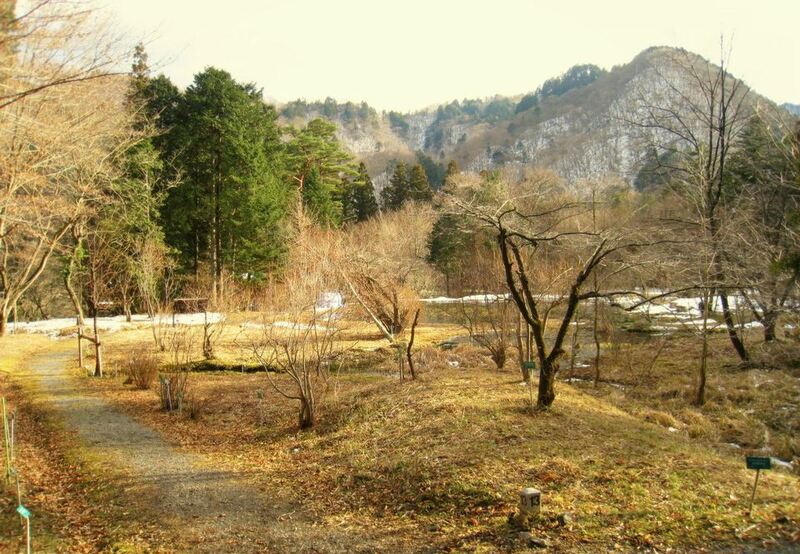 from Tobu and JR Nikko stations. 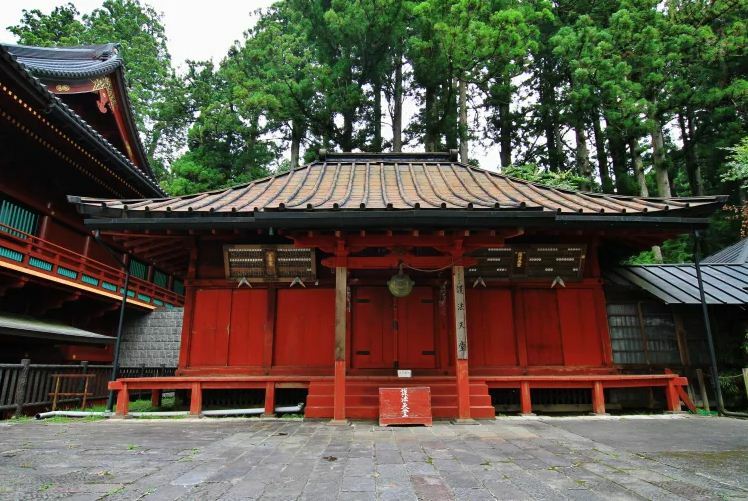 Futarasan Shrine was built by the zen master legend Shodo Shonin in 767. 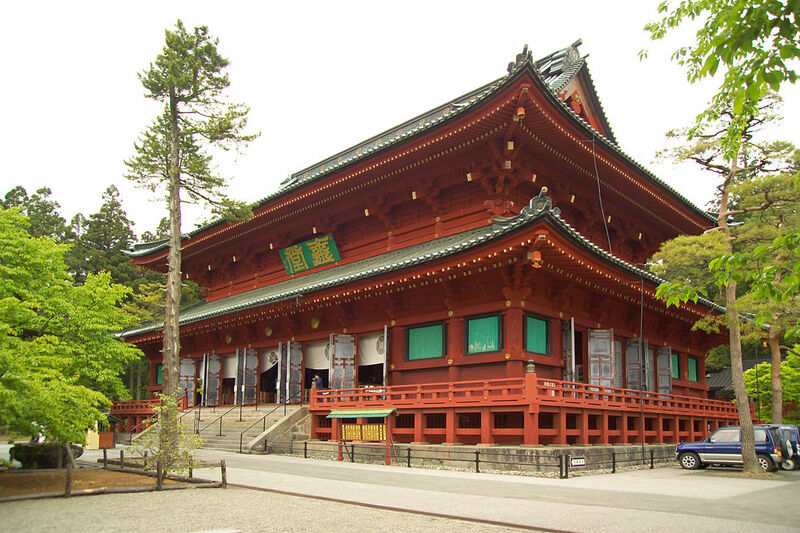 The shrine is dedicated to the three gods of Shinto: Okuninushi, Tagorihime and Ajisukitakahikone. 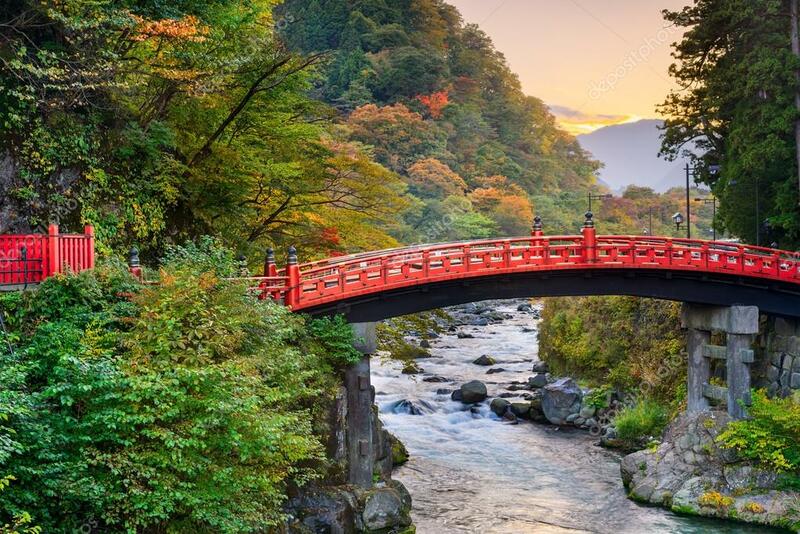 Much of the architecture of the Futarasan Shrine is recognized as a major cultural asset of Japan, most notably the God Bridge across the Daiya River leading to the shrine. 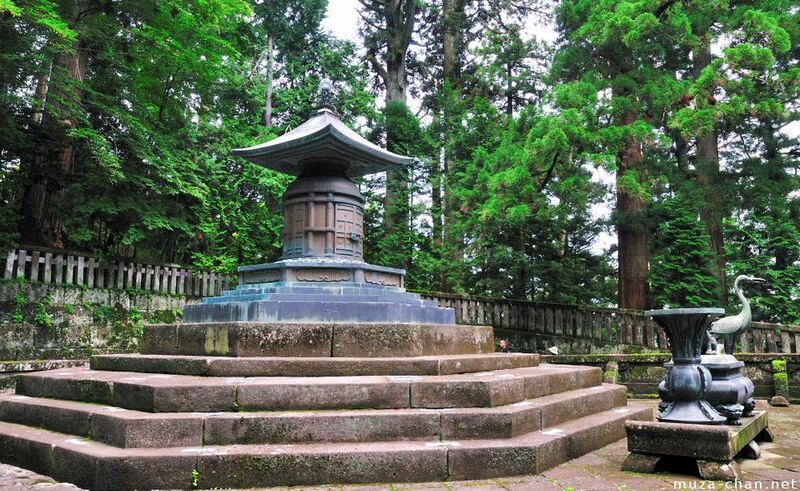 Although not as large as Nikko Tosho-gu, but the shrine’s age is much longer. 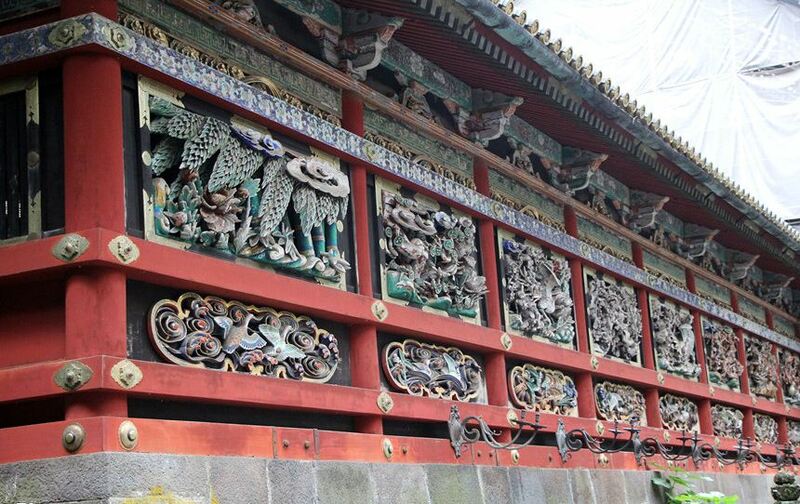 In the main hall of the temple also display two sword are the national treasures of Japan. 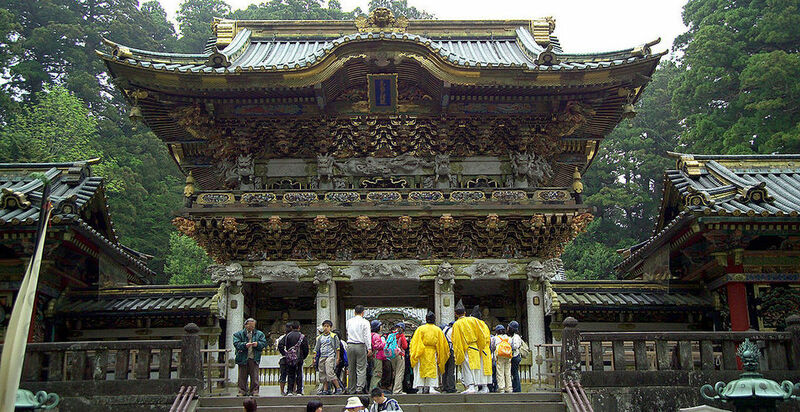 Entrace to Futarasan Shrine. 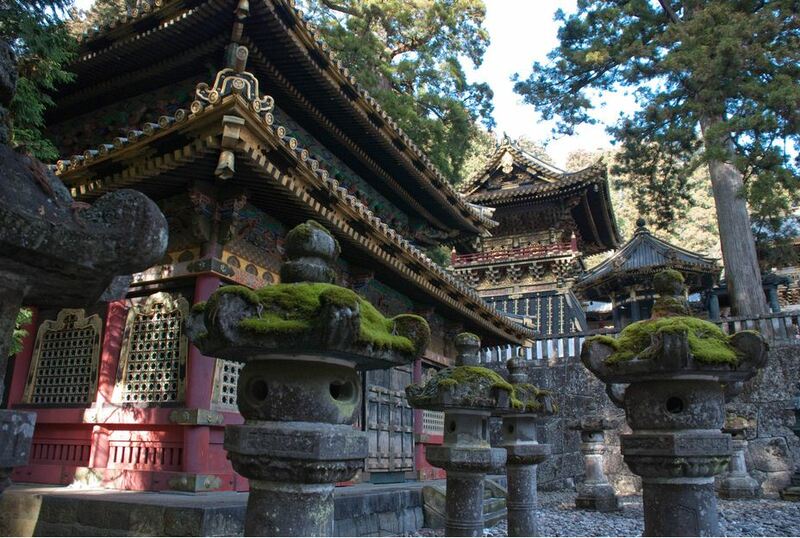 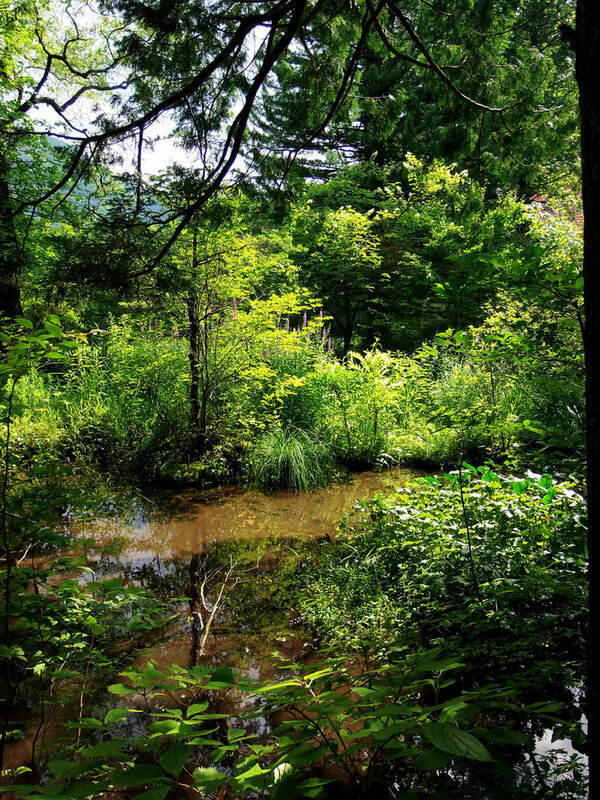 Picture: nikko blog. 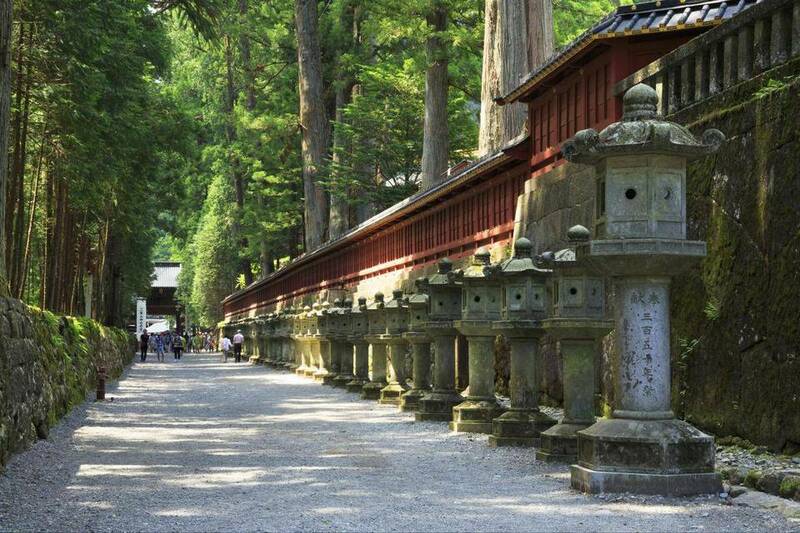 It is one of the most important places of the Nikko temples complex. 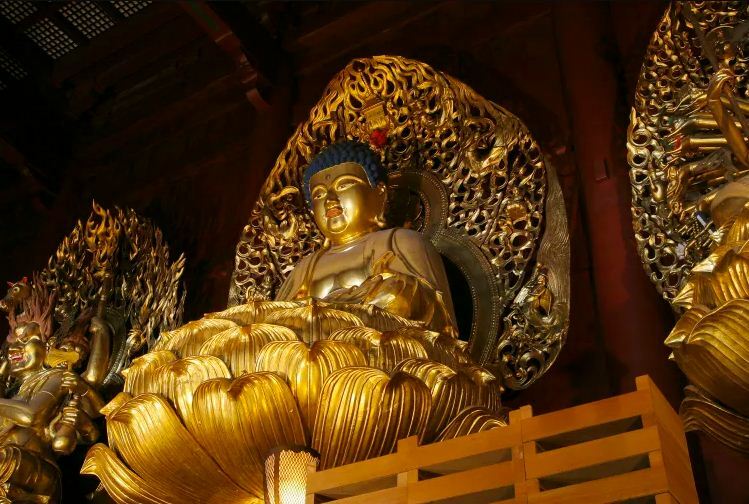 Built in the 18th century, the temple was built here containing 3 gold Buddha statues higher than 8m extremely sophisticated. 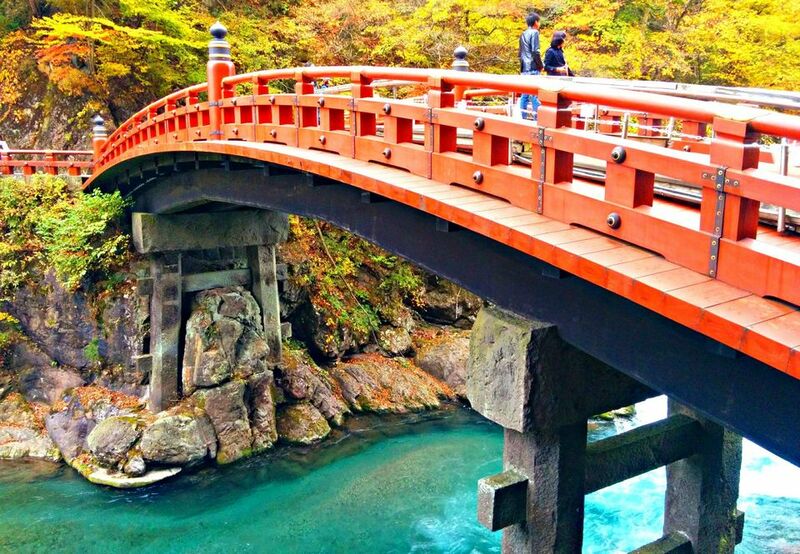 and water flowing under the Daiya River. 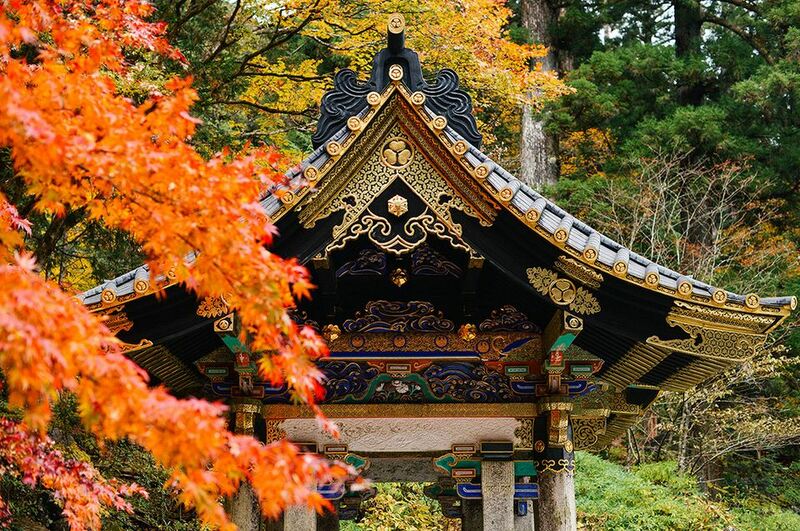 Nikko Botanical Garden was built in 1902 for the purpose of collecting and researching the plants on the mountains. 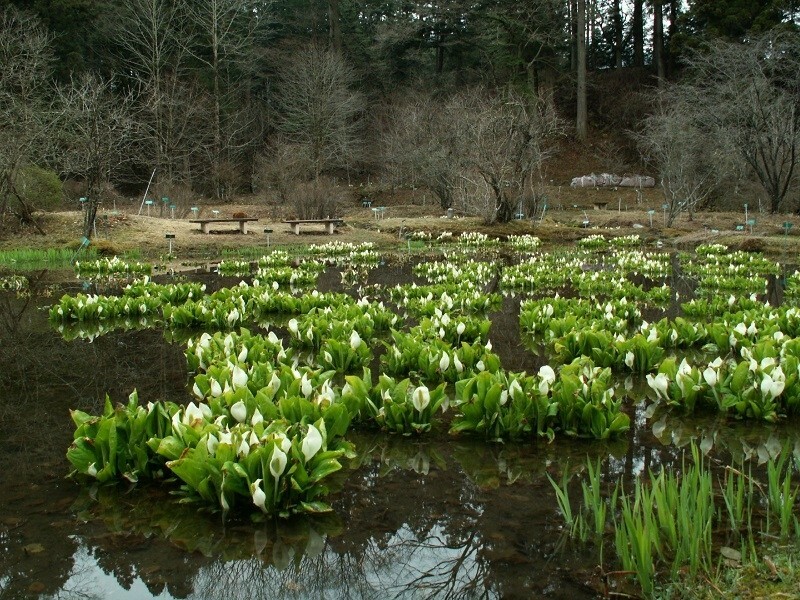 This is a garden under the management of the University of Tokyo, as a research center for plants. 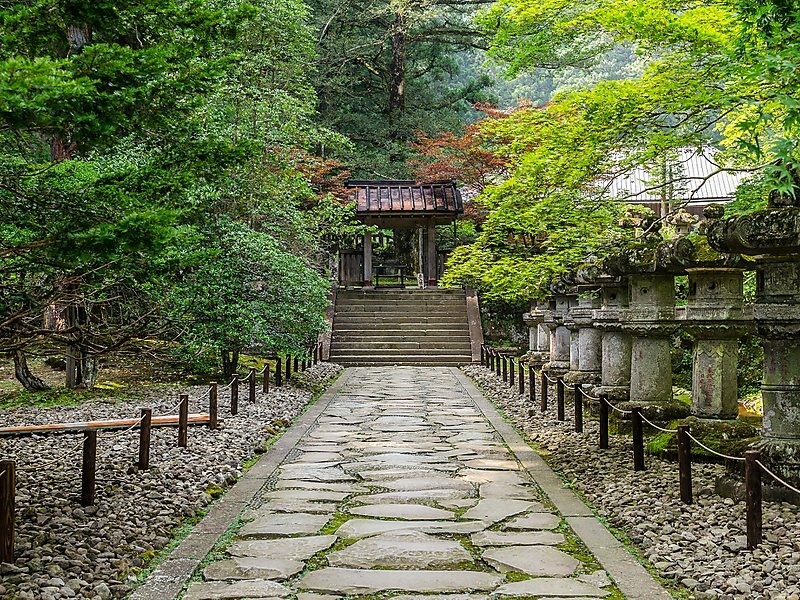 There are currently about 2,200 species of plants, not only has mountain plants, but also plants throughout Japan, such as gymnosperms, angiosperms, azaleas, temperate plants, shrubs, ferns … are planted in gardens alternating with paths around the entire area which help visitors can just walk to enjoy the fresh air and also have the opportunity to learn all the varieties of plants. 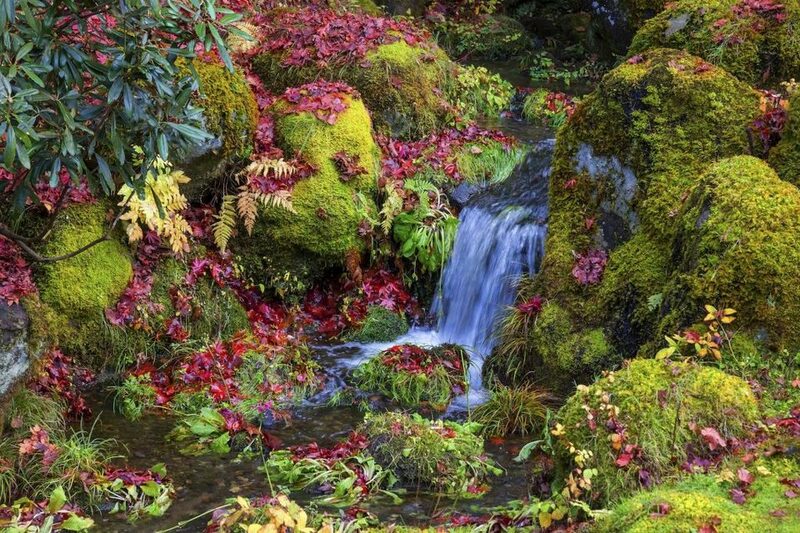 You can see the magic when the leaves turn yellow, red in the garden of a thousand species. 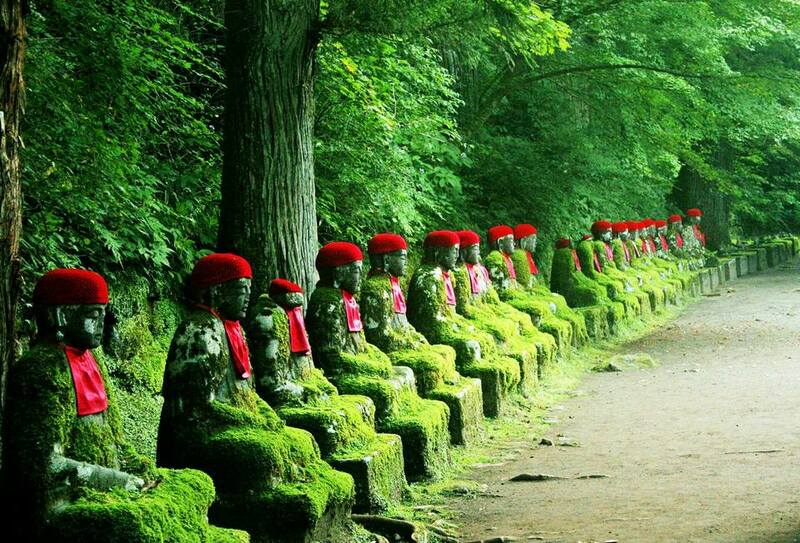 Especially when visiting the botanical garden visitors will have a better view of Kanmangafuchi area, can see the Jizo statues from far away. 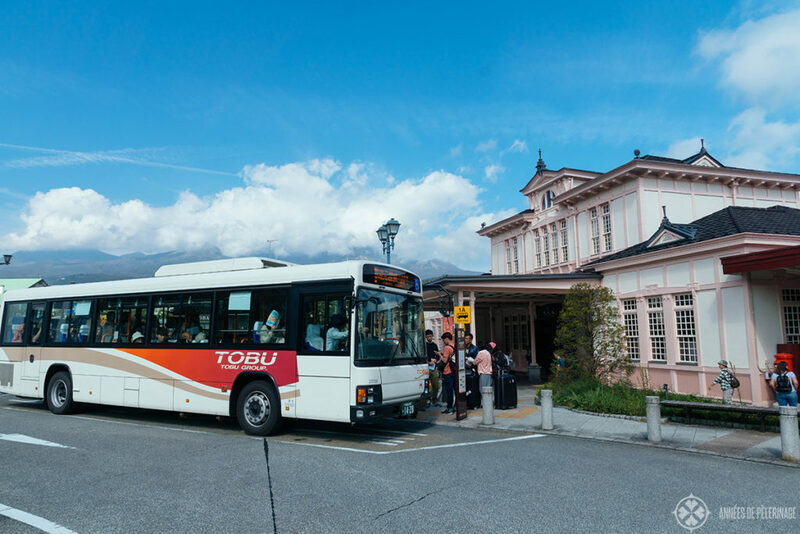 If you are wishing to travel around the world in a super-short time, you can visit Tobu World Square Park – another popular theme park in Nikko City. 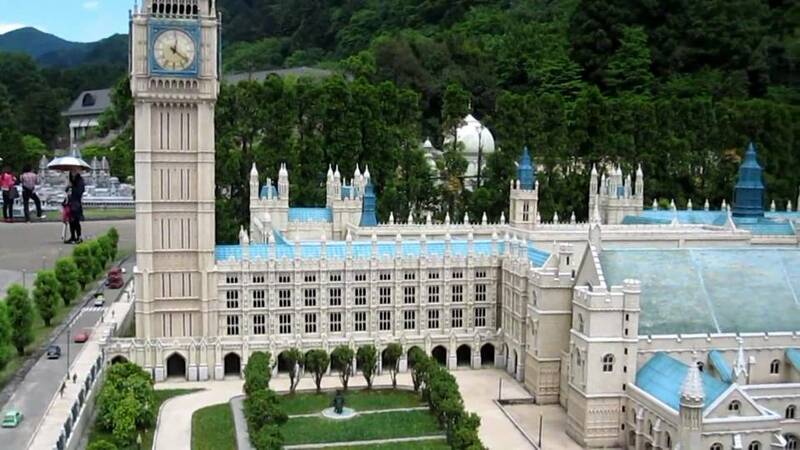 There are more than 100 models of famous buildings in the world at the rate of 1:25. 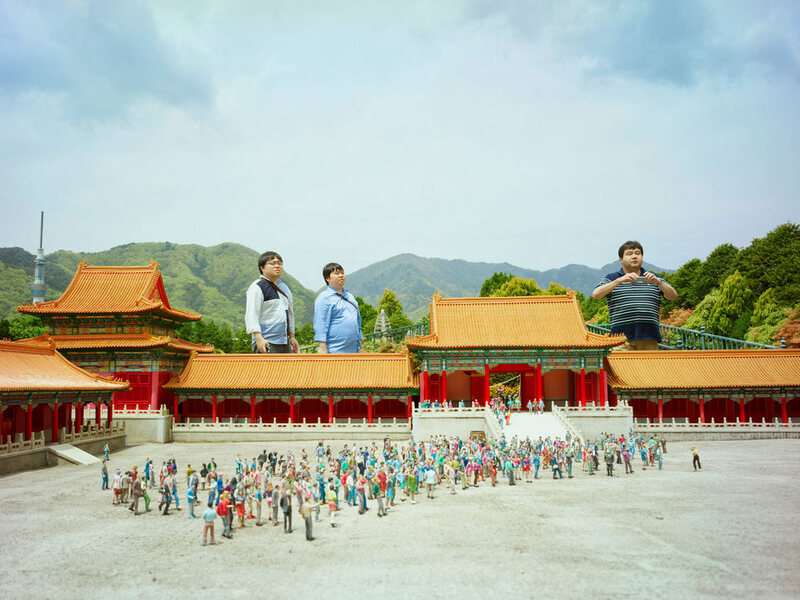 The works at the park are systematically sorted across continents and countries, so it helps visitors can easily visit the works of Asia, to Europe, America, Egypt, Japan and the other works of modern Japan. 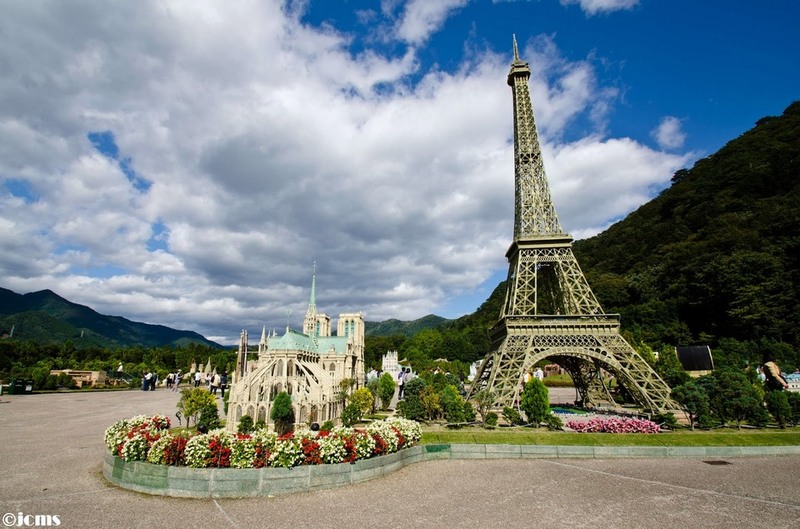 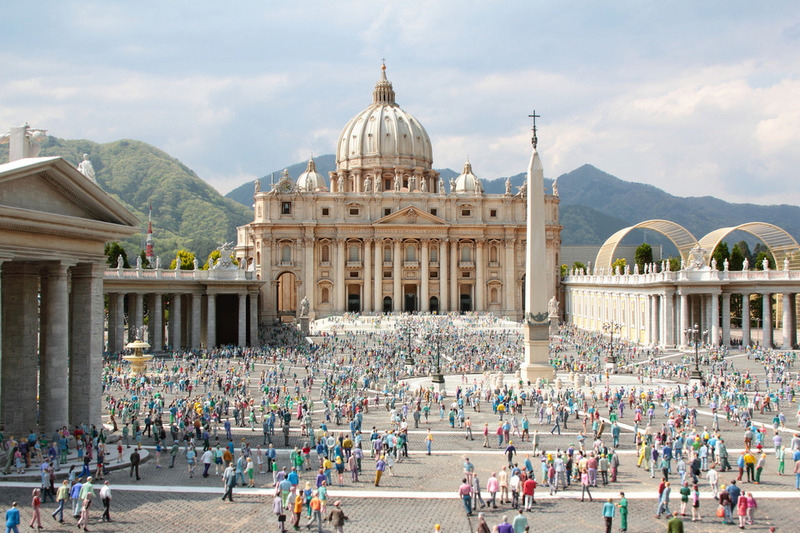 With architectural models of European countries, Europe is the largest and most diverse area in Tobu World Square. 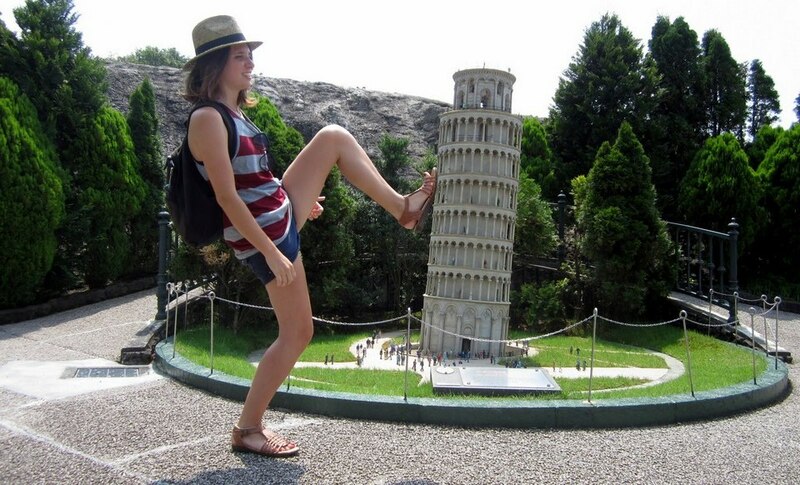 From the Eiffel Tower of France, the leaning tower of Pisa in Italy, the Peterhof Palace of Russia, especially to the Parthenon temple, the Roman colosseum was erected almost identical to the original. 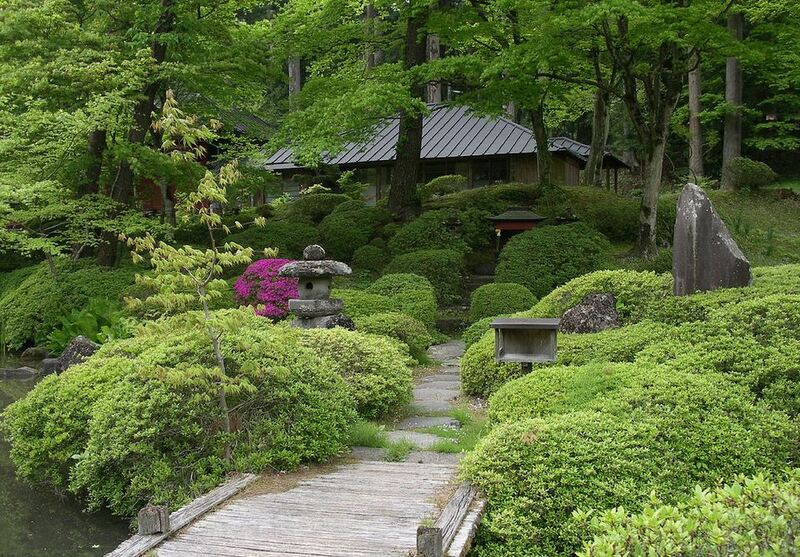 In the area of Japan, visitors will see about 35 works here, such as Himeji Castle, the Royal Palace in Kyoto, Itsukushima Temple, Katsura Palace, especially the change of Japanese scenery in 4 seasons of the year … Not only recreating the works but also the smallest details from the way, the flower garden, the seasonal scenery, including the people are also reconstructed perfectly.